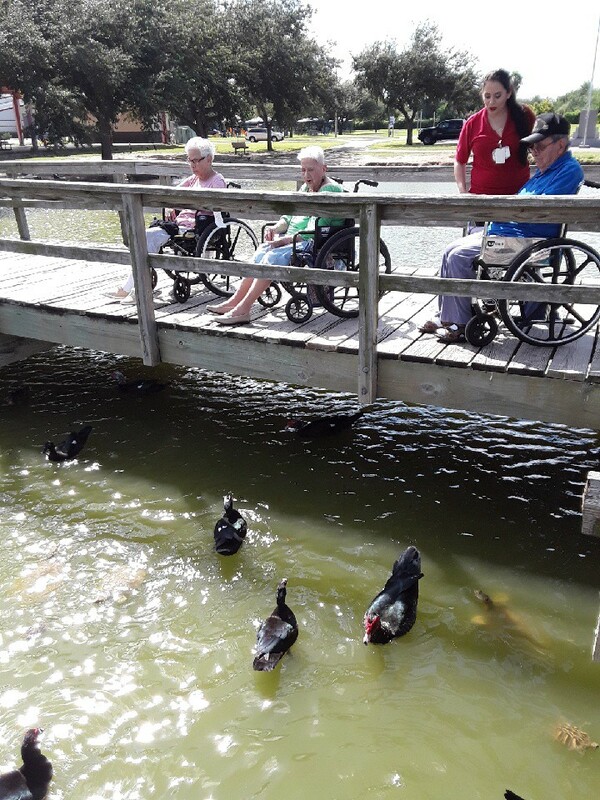 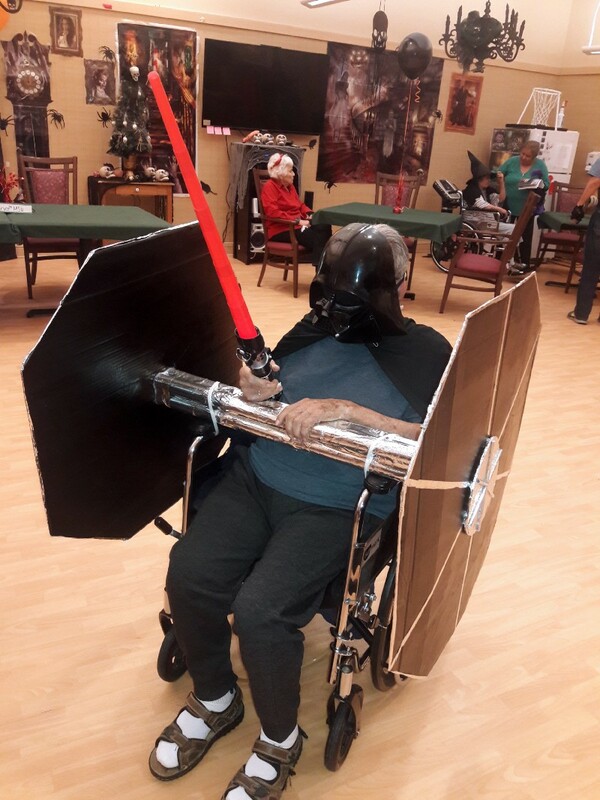 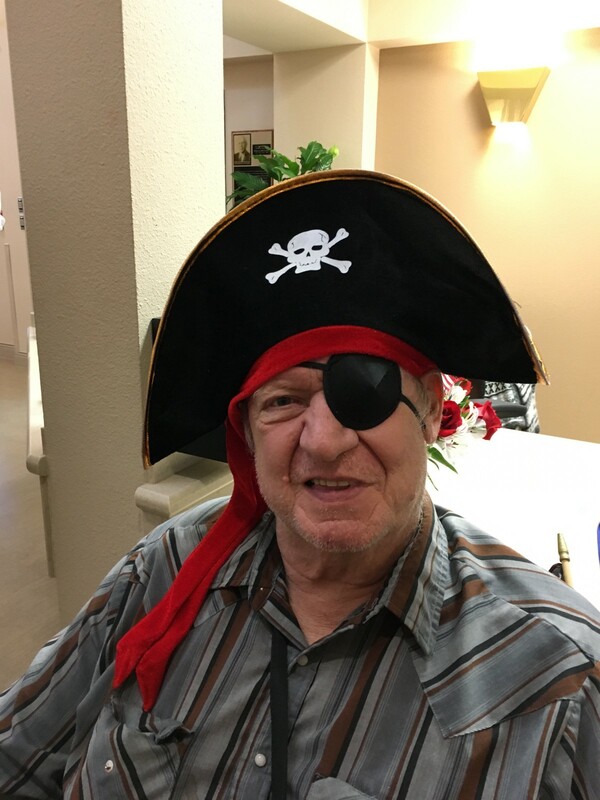 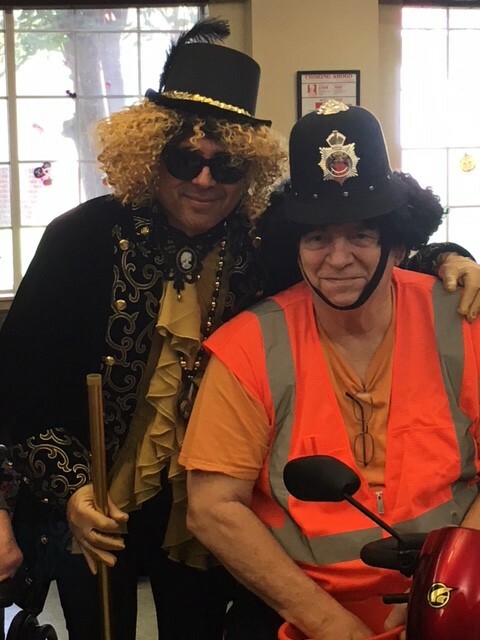 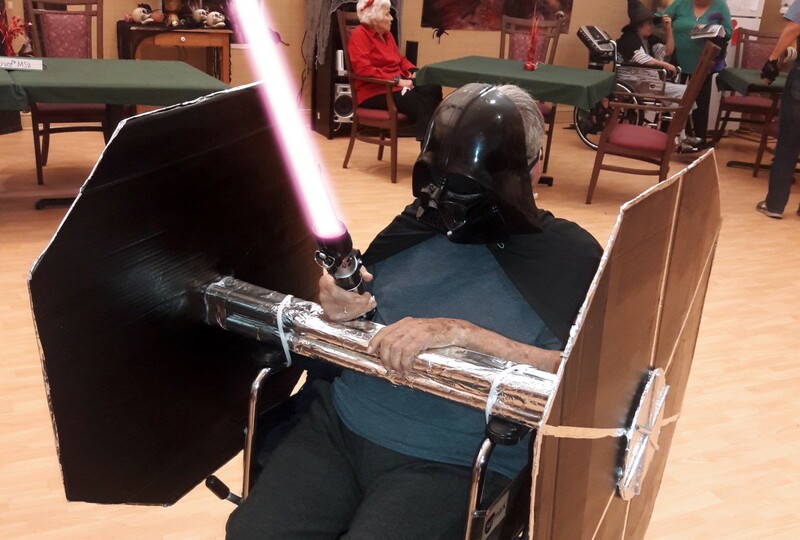 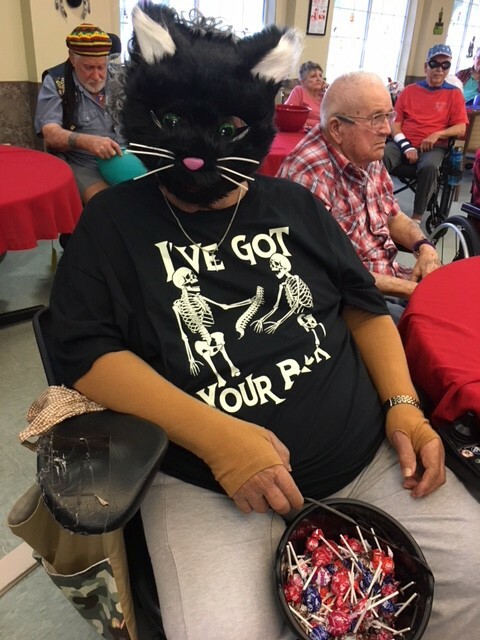 The staff at our homes work incredibly hard to provide the residents with special activities and celebrations to show them all how much they are loved. 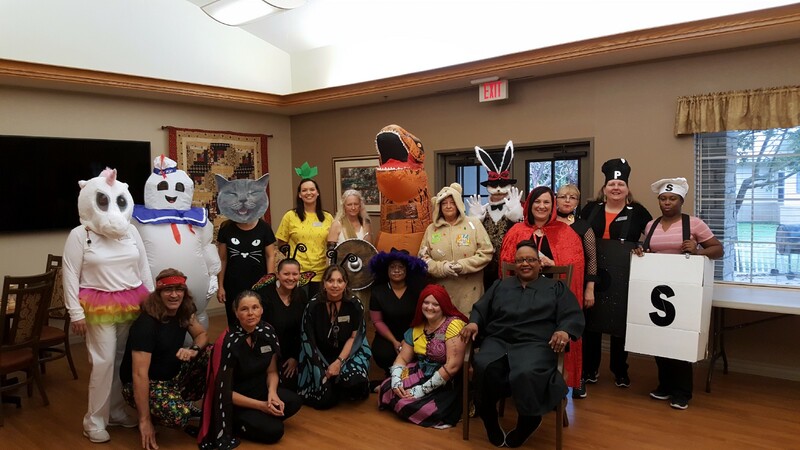 Here are a just a few of the events that have taken place this past September and October. 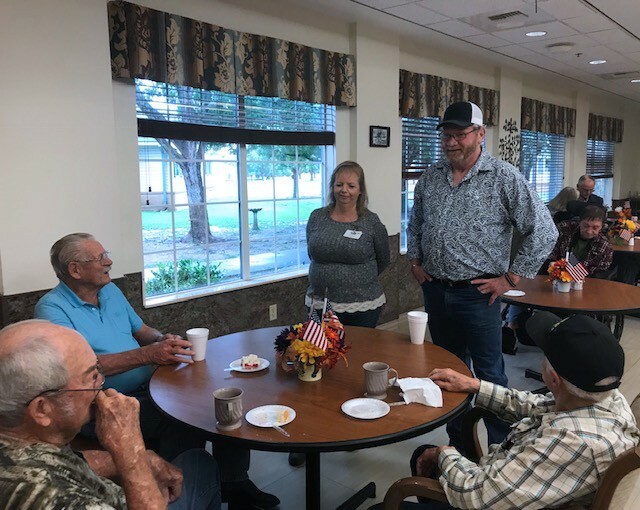 Friday, October 26 was National Day of the Deployed and the Texas State Veterans Home in Amarillo hosted a ceremony to honor all those who have been, or are, deployed in service to our nation. 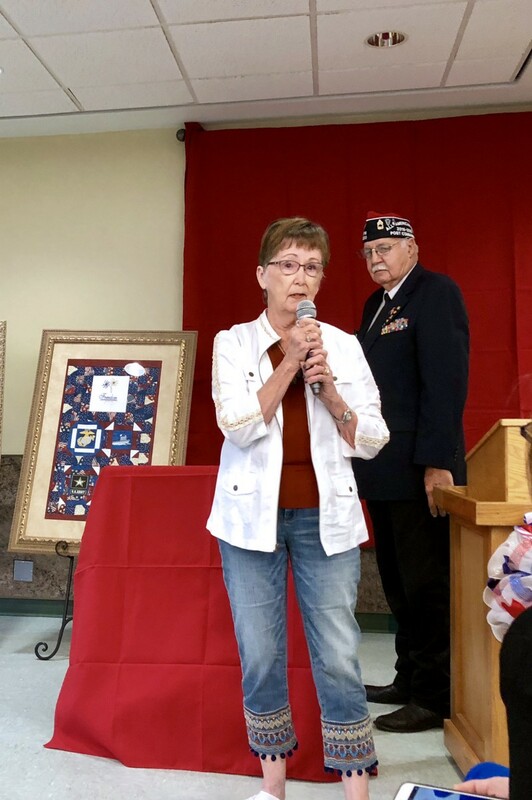 Verlene Dickson, retired Sergeant Major, and currently the Director of the Veterans Resource Center in Amarillo, was the guest speaker. 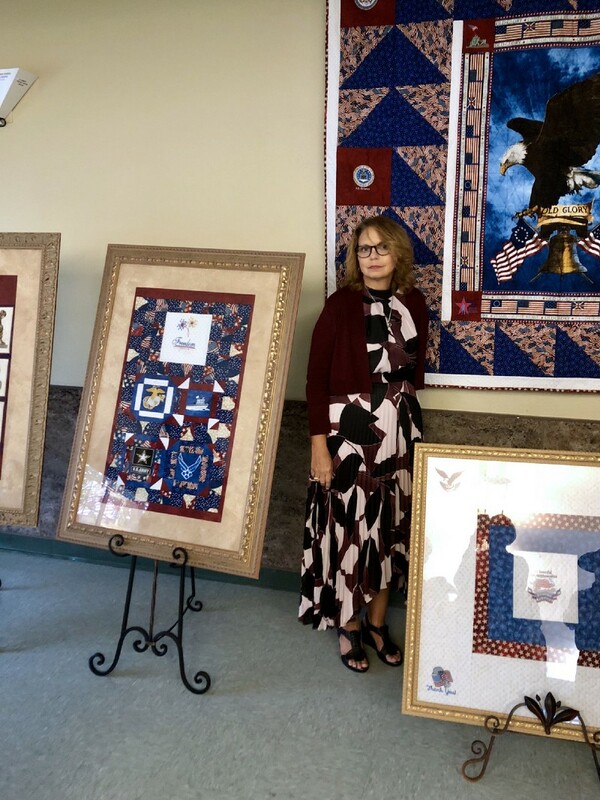 She gave a wonderful presentation showing her three different deployments. 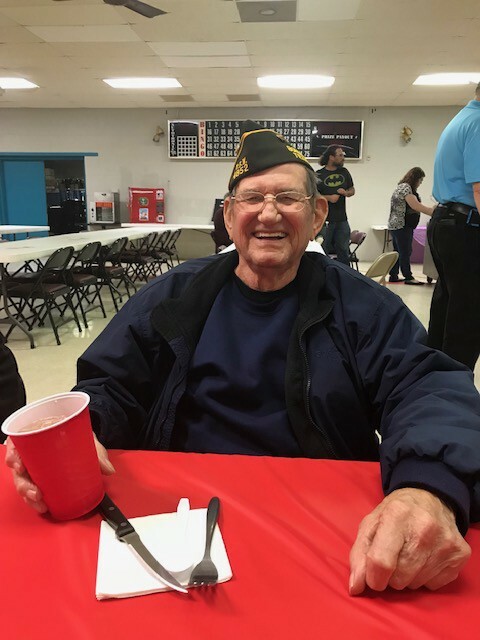 Monte Rule, a Veteran and a member of the local VFW, was also present. 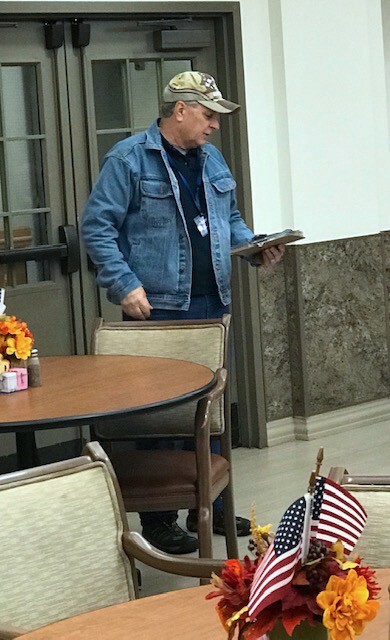 His son was deployed for three years. 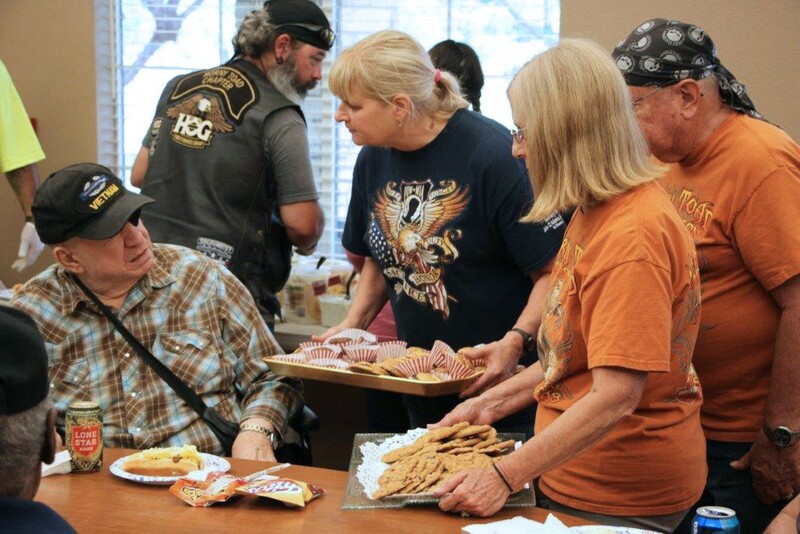 Many thanks to myhighplains.com for the news coverage of this event. 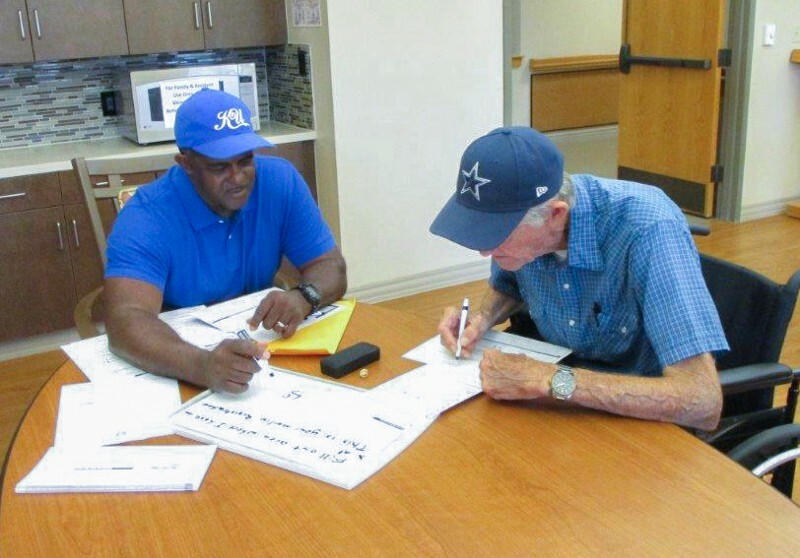 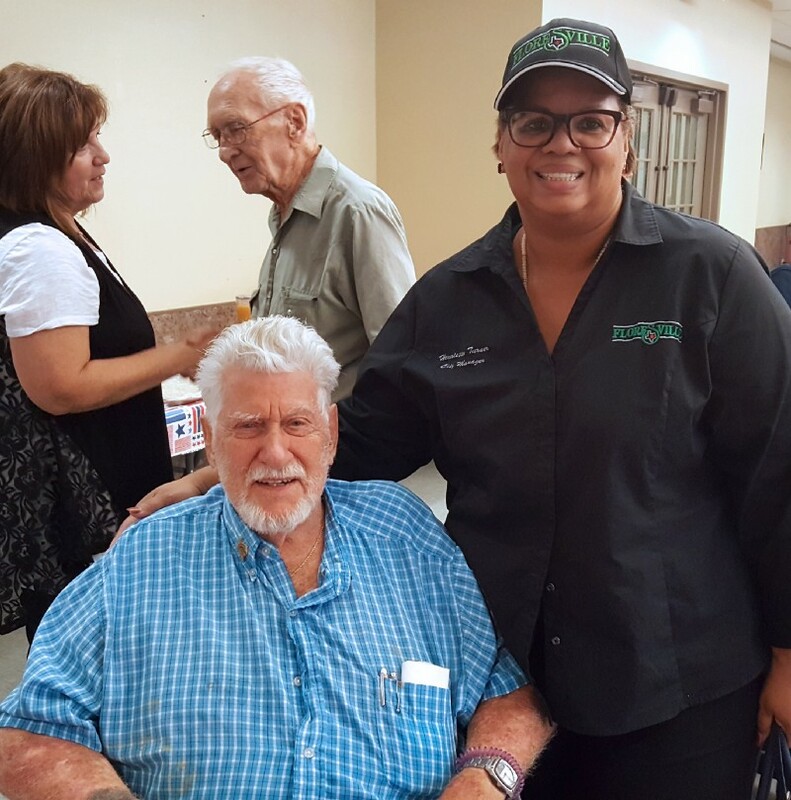 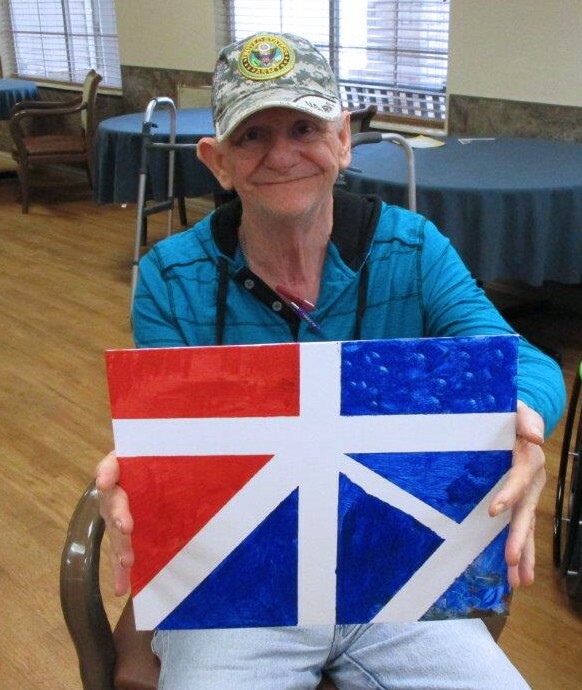 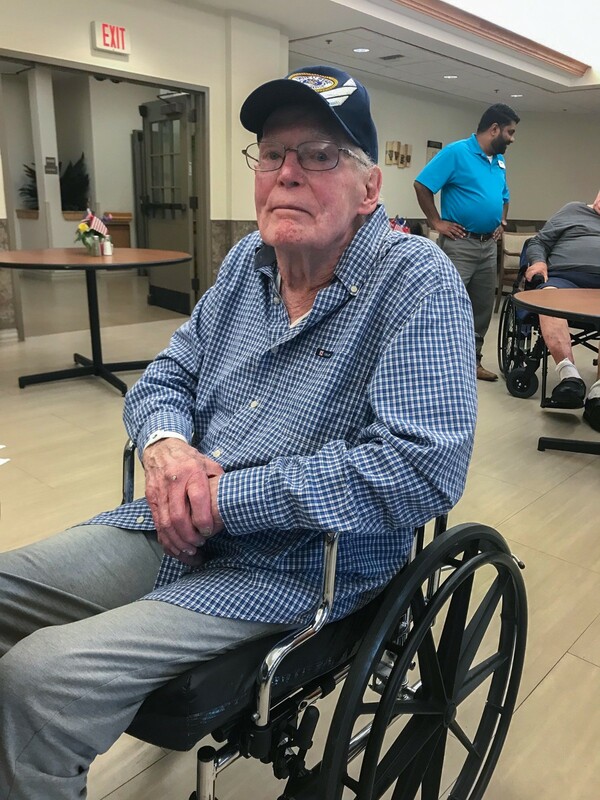 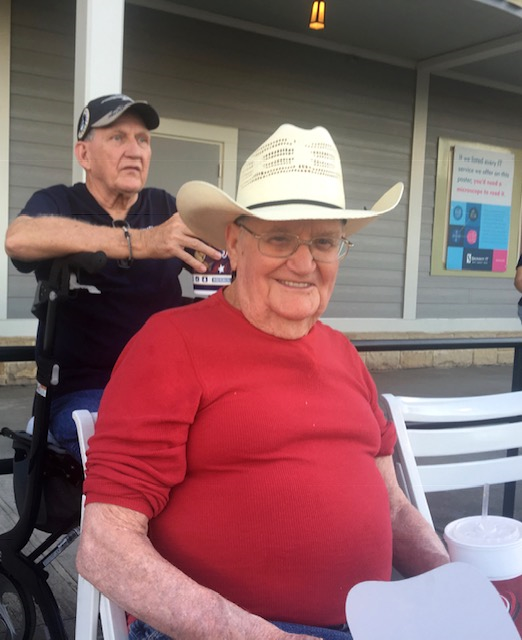 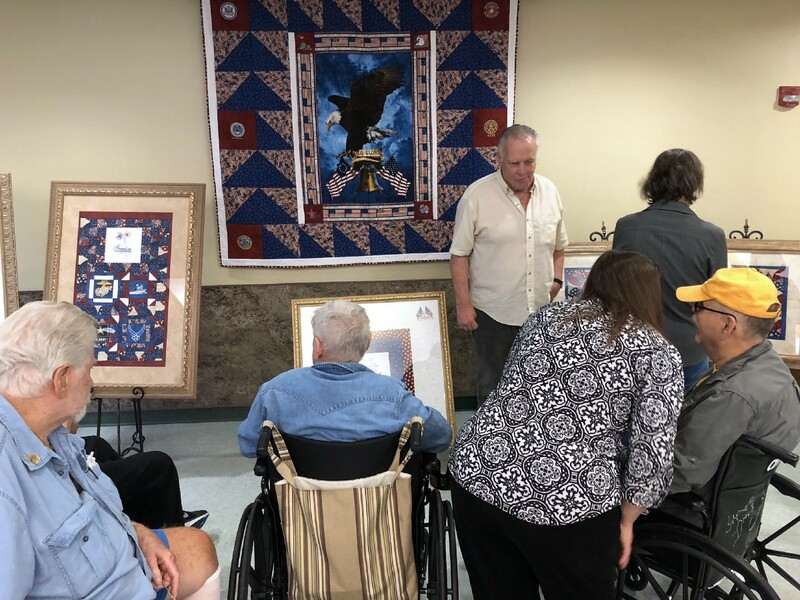 On Tuesday, September 18, the residents at the Texas State Veterans Home in Bonham celebrated the 71st Birthday of the United States Air Force. 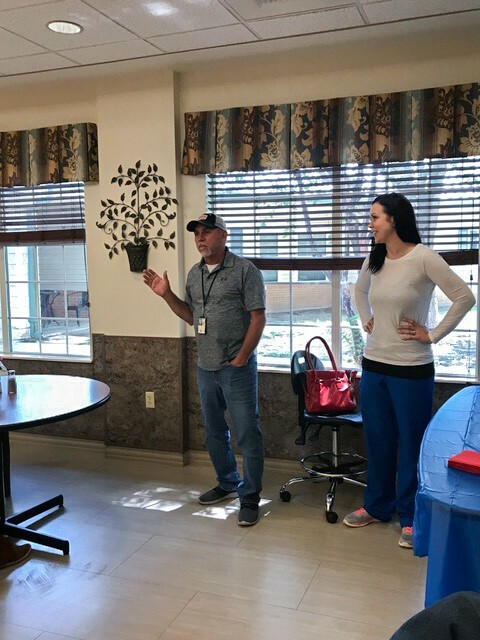 During the birthday celebration, Retired Air Force Veteran, Rusty Davis, visited with the residents regarding their military service. 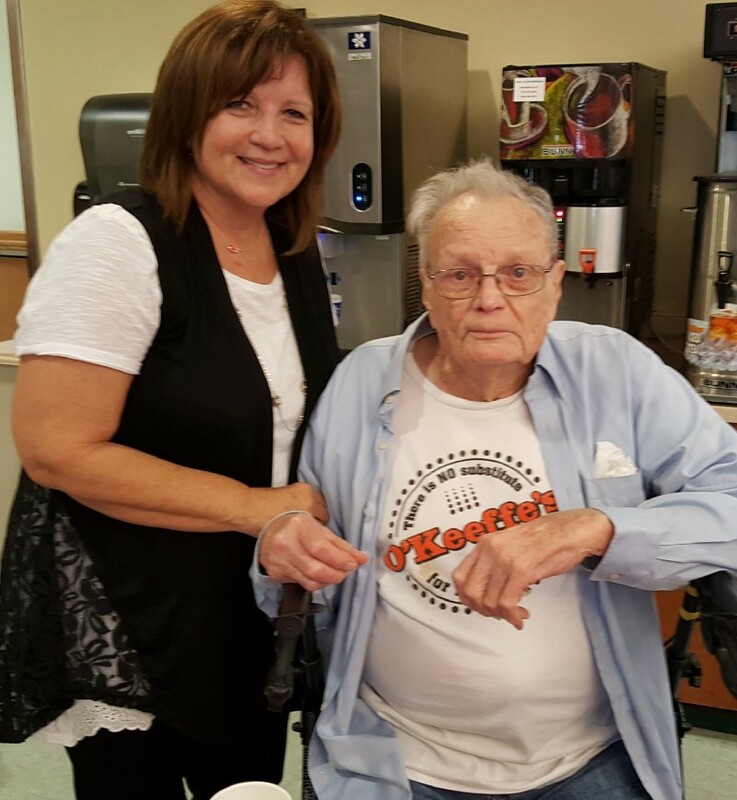 Cristyn Floyd with CarePlus Hospice provided the tasty birthday cake. 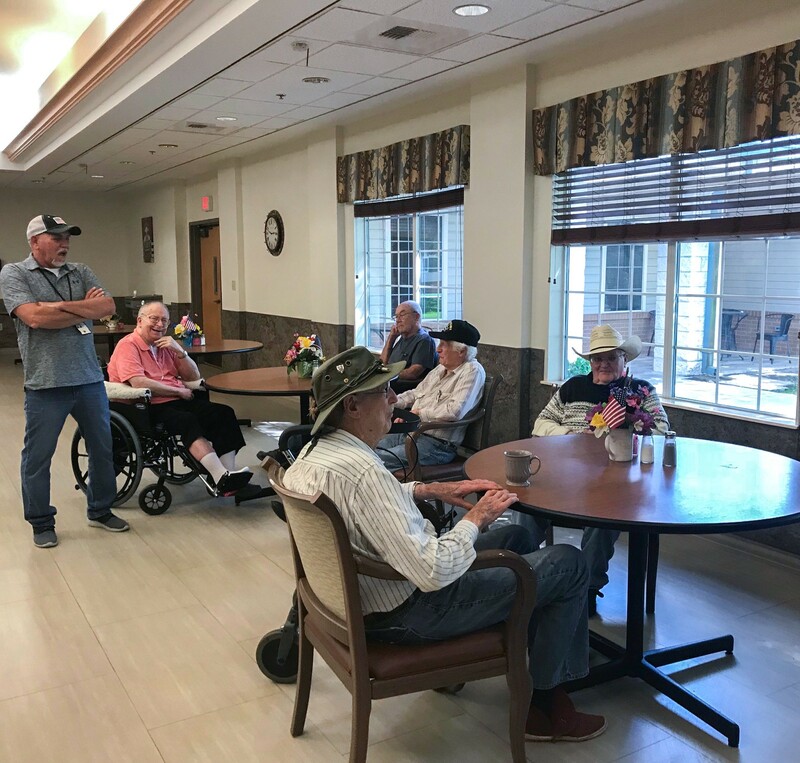 Many great stories were shared! 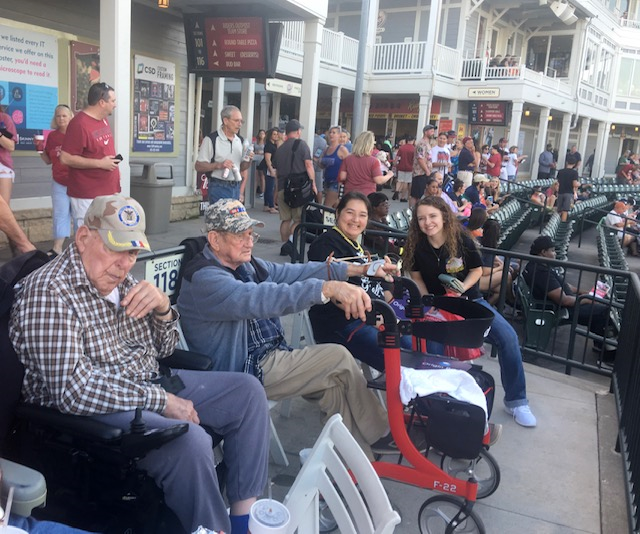 In early October the residents attended two softball games at the Dr. Pepper Ballpark in Frisco. 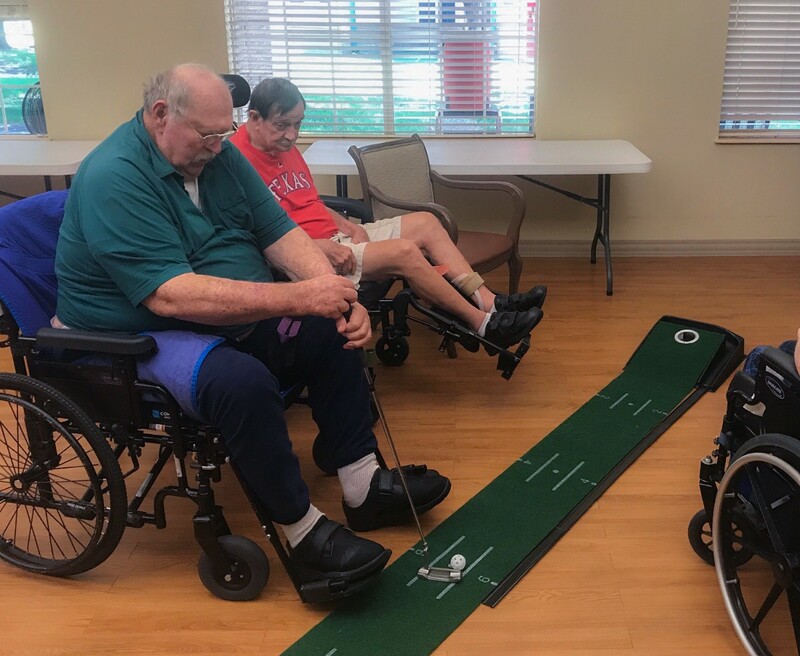 The first game of the evening was an exhibition game between the 2018 Nightmare/Miken and the RRCSG All-Veteran team. 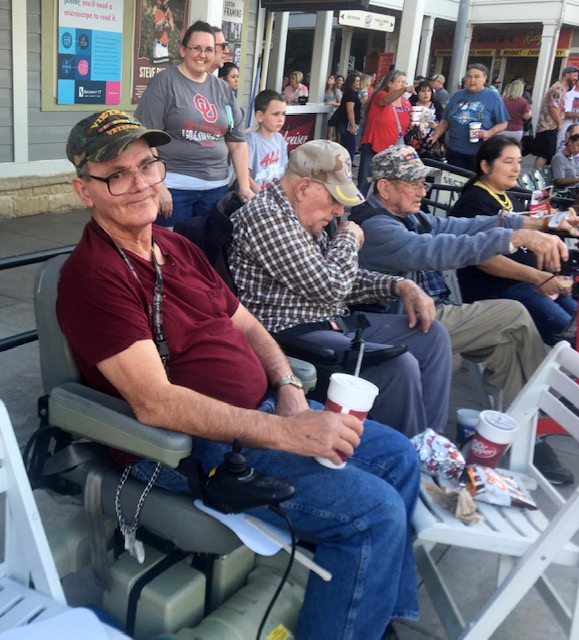 Following this game, the residents watched the Red River Celebrity Softball game between the UT and OU celebrity teams. 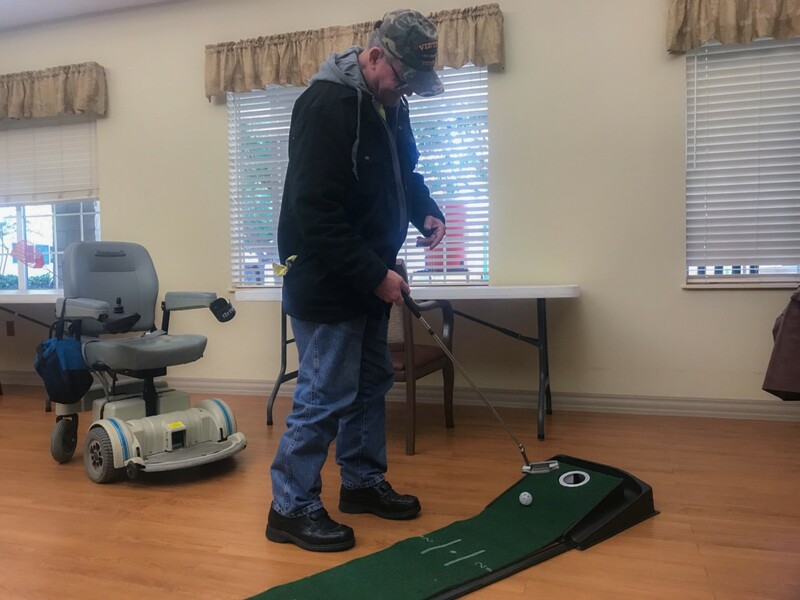 Thursday, October 4, was National Golf Day and the residents celebrated with a game of indoor golf. 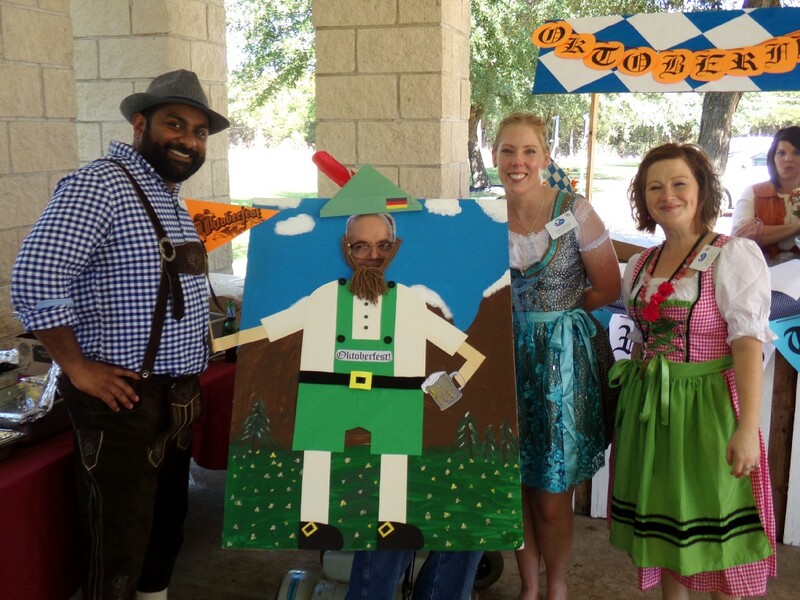 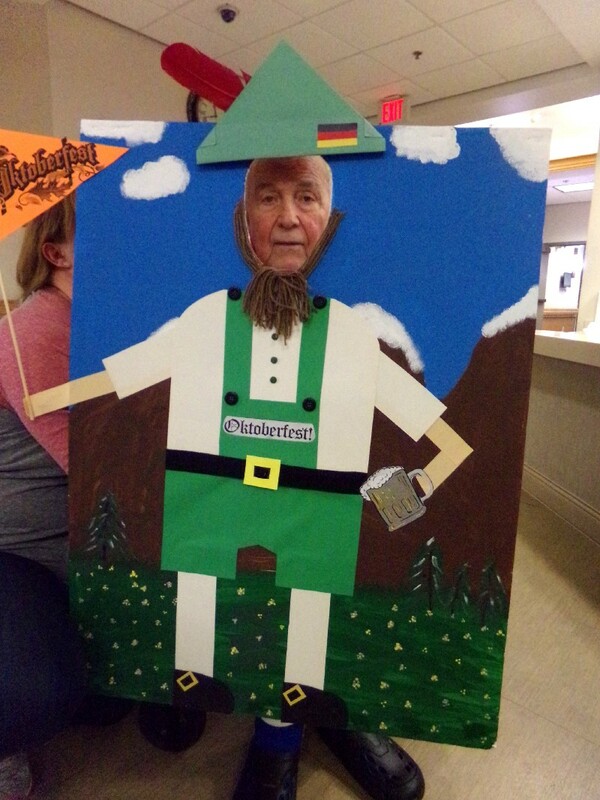 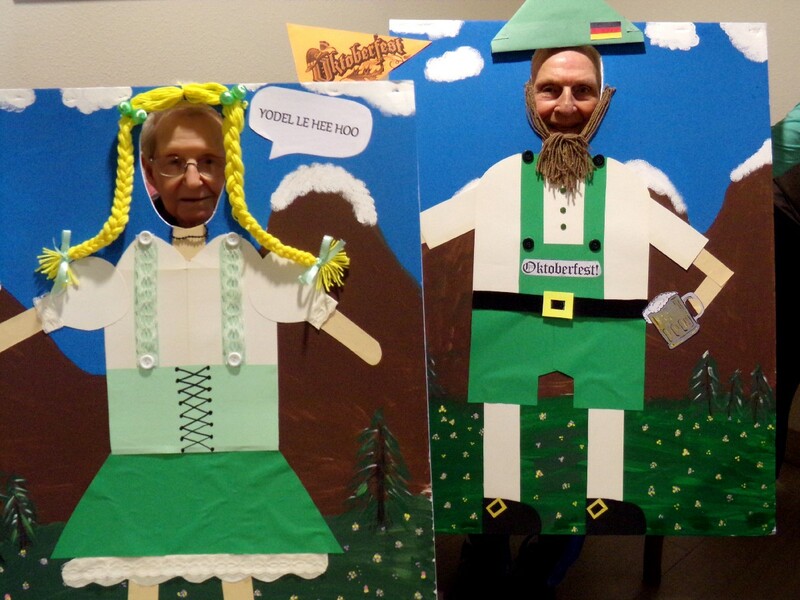 On Friday, October 5, the Veterans Home celebrated Oktoberfest and everyone enjoyed the great food, music, and beautiful weather. 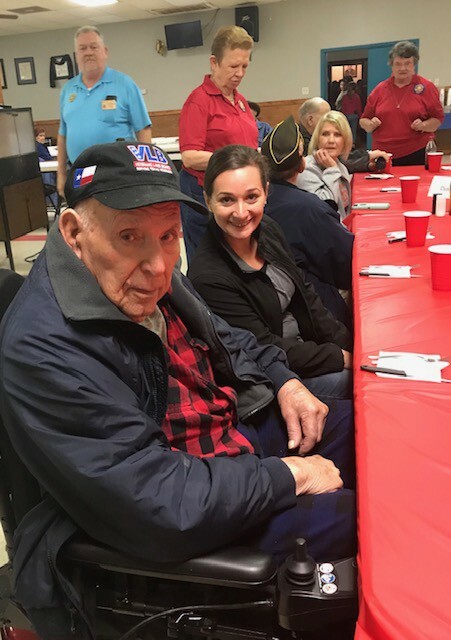 Friday, October 12 the residents were treated to a steak dinner at VFW Post 2772 in Sherman. 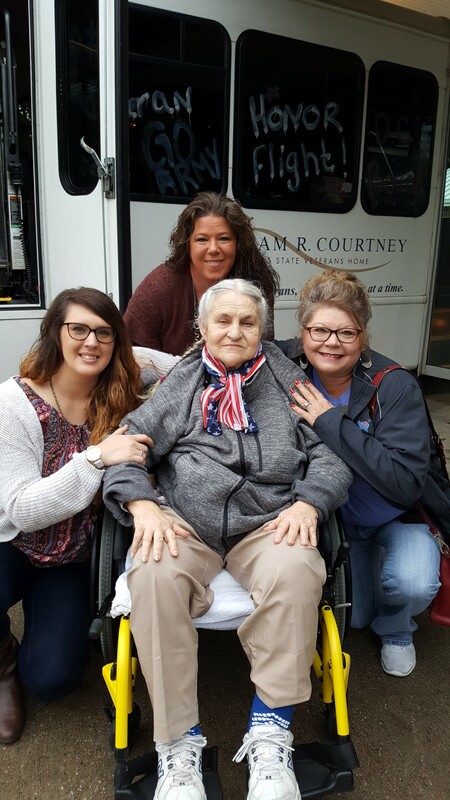 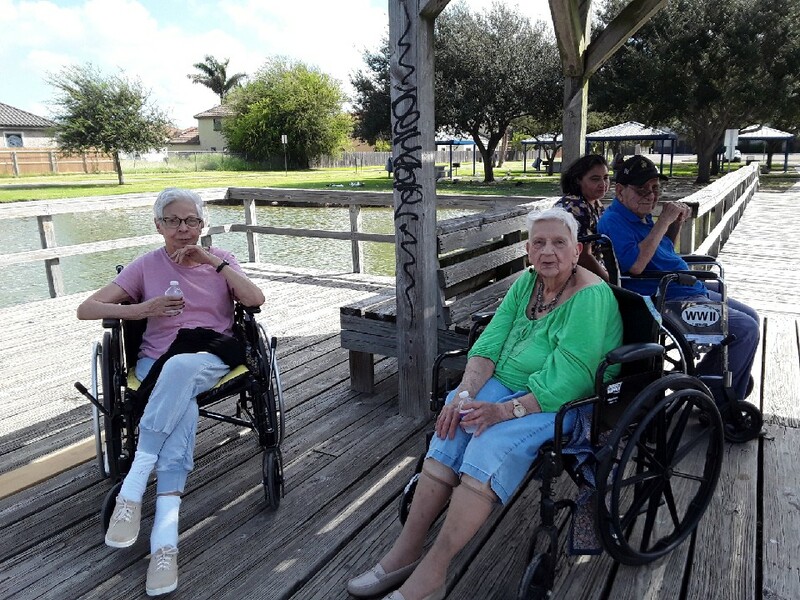 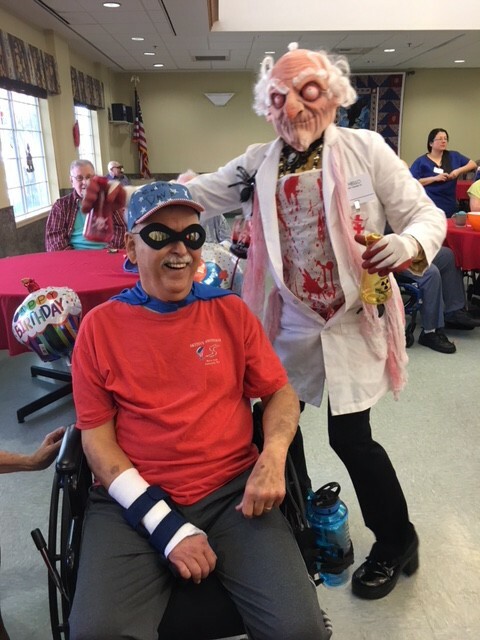 The residents had a great time and said that the food was wonderful! 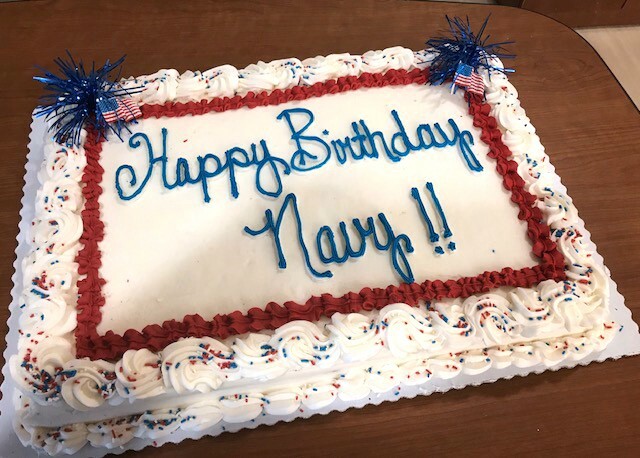 Saturday, October 13, was the U.S. Navy’s birthday and the residents celebrated with a birthday cake and a presentation by Gary and Roger Little, both Navy Veterans. 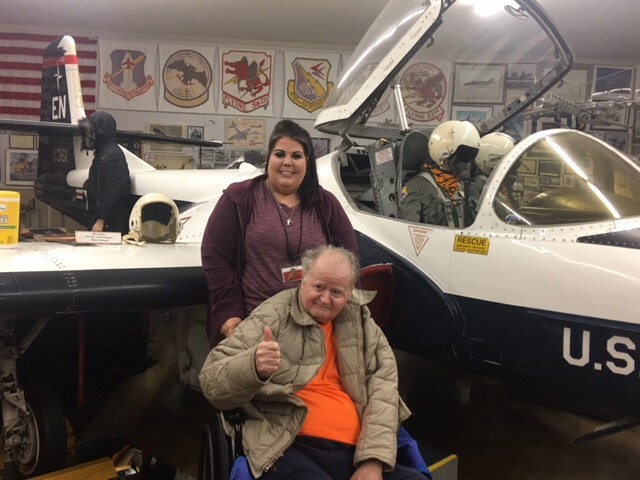 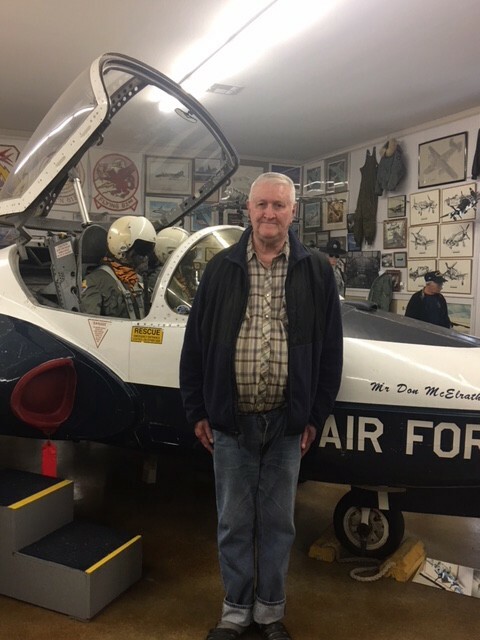 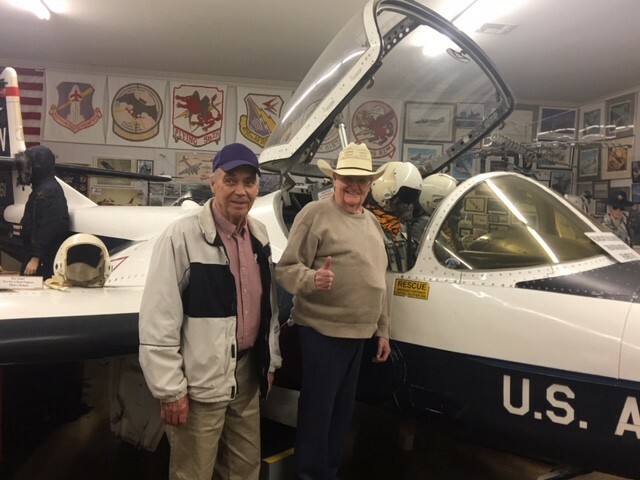 Earlier this month, the residents visited the Perrin Air Force Base Historical Museum in Denison, Texas. 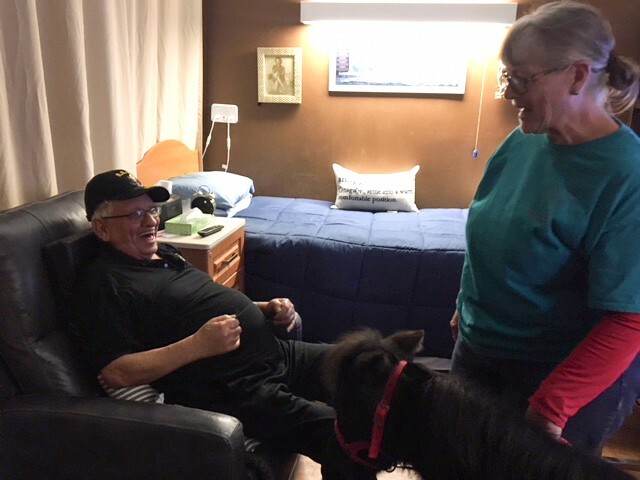 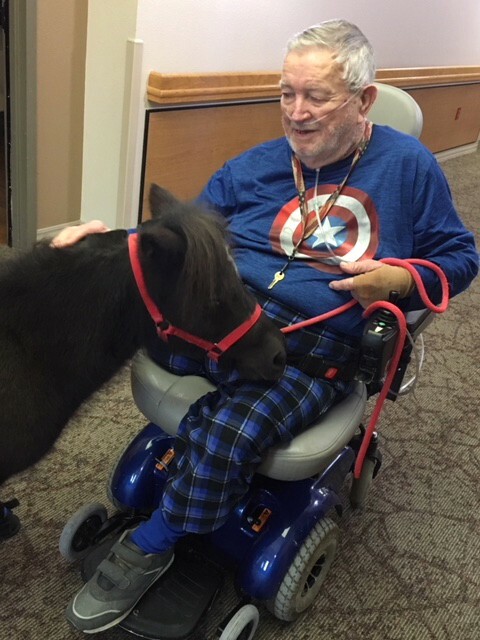 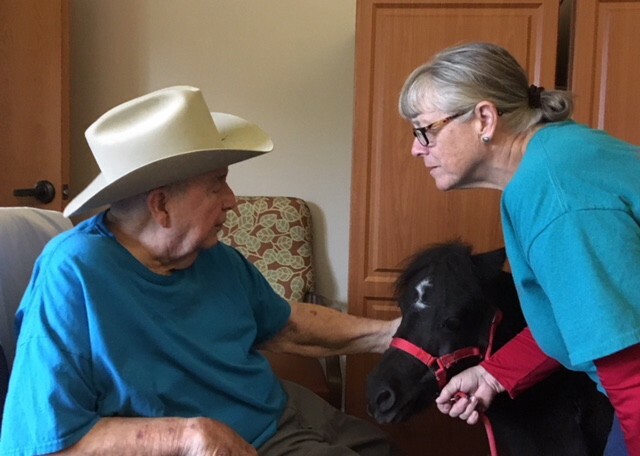 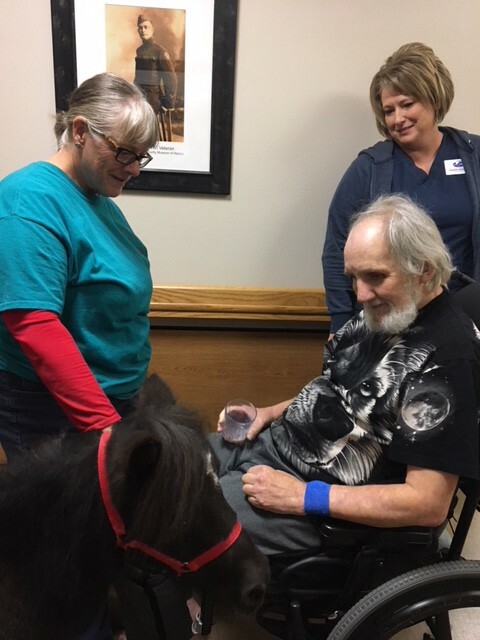 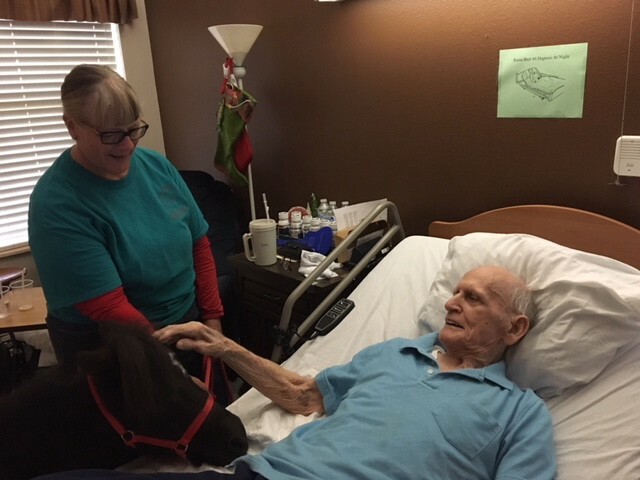 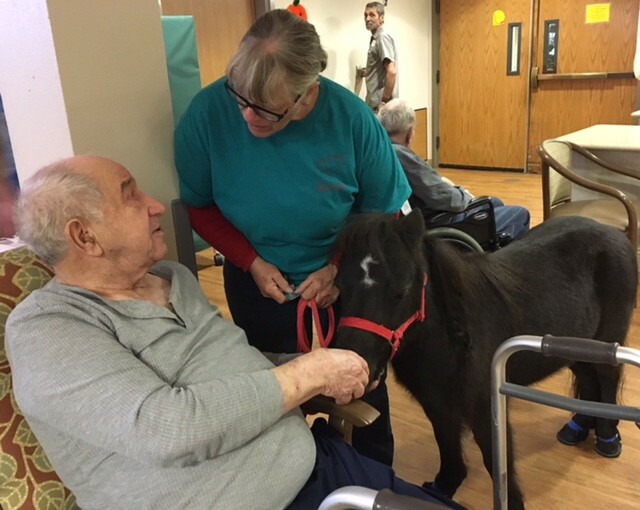 On Wednesday, October 24, MiniEncounters Mini Therapy Horses visited the Veterans Home. 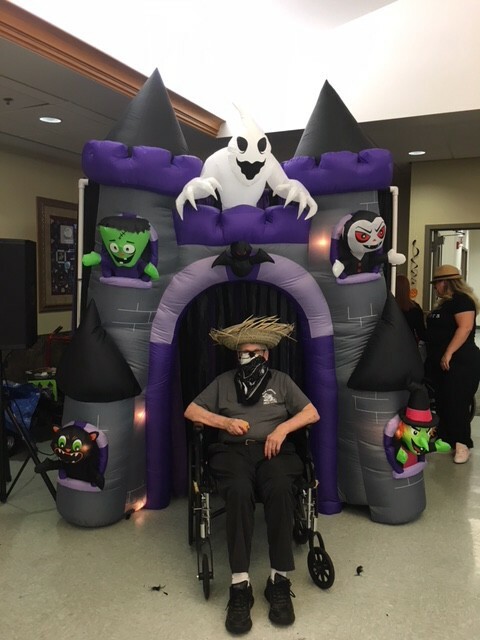 The residents’ faces light up when they see Jade coming down the hallway or entering their room! 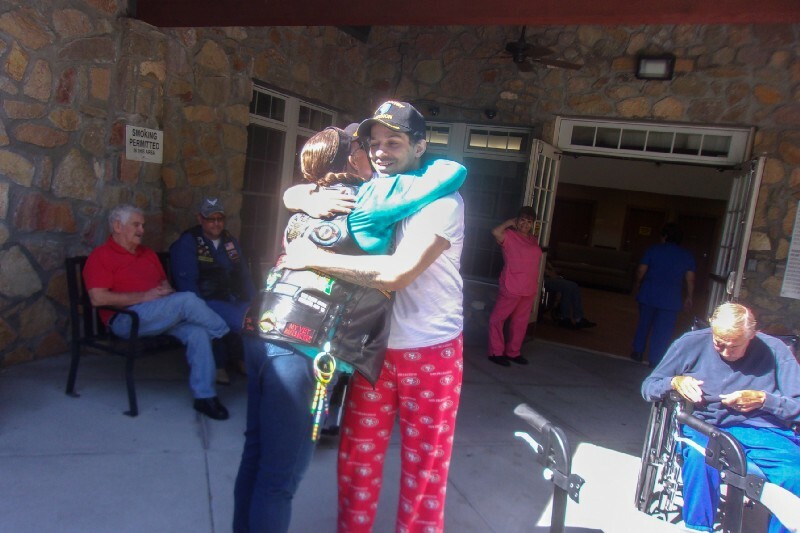 Friday, October 26 was National Day of the Deployed and US Army Retired Sgt. 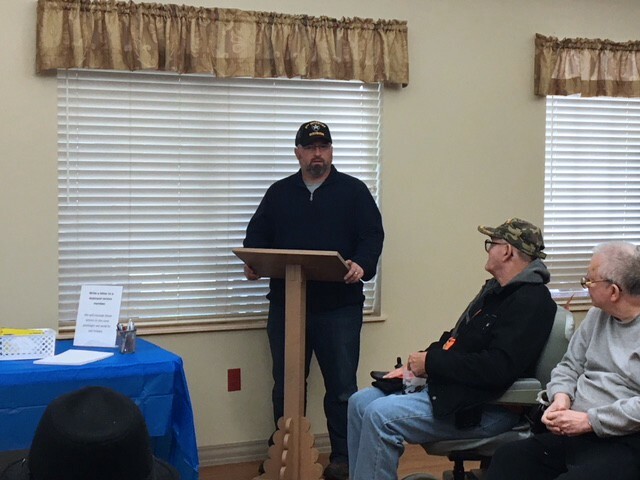 1st Class, Daniel Clark, was the guest speaker for our celebration. 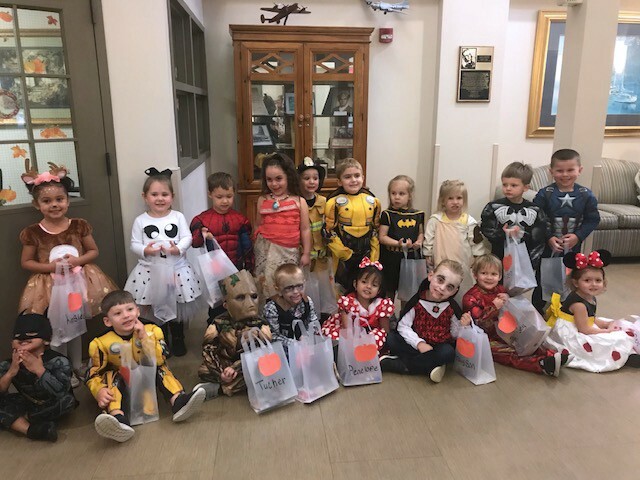 This morning, Bailey Inglish Pre-K and Footsteps & Fingerprints visited the Veterans Home in their Halloween costumes. 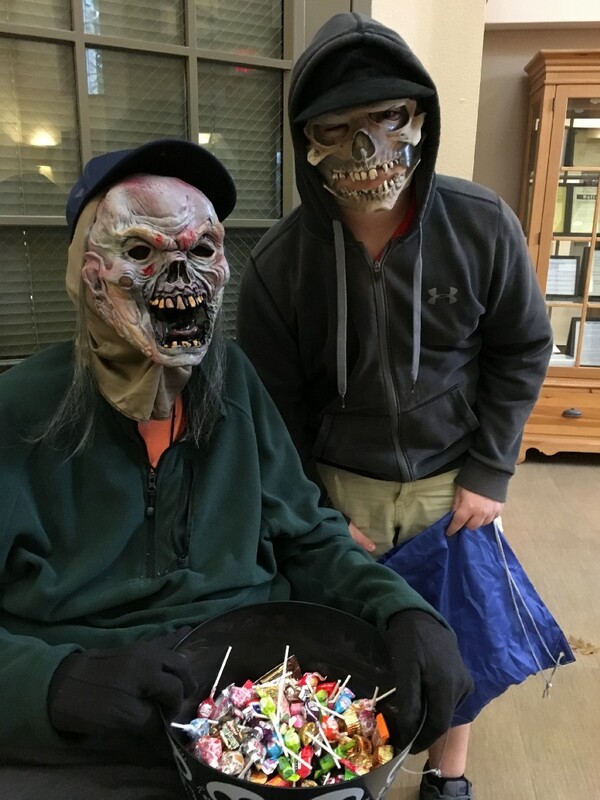 The residents enjoyed passing out candy to the little trick or treaters. 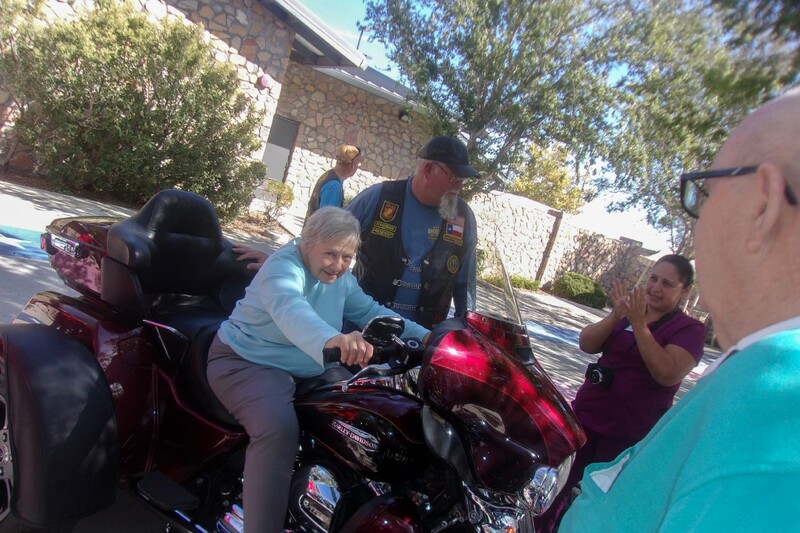 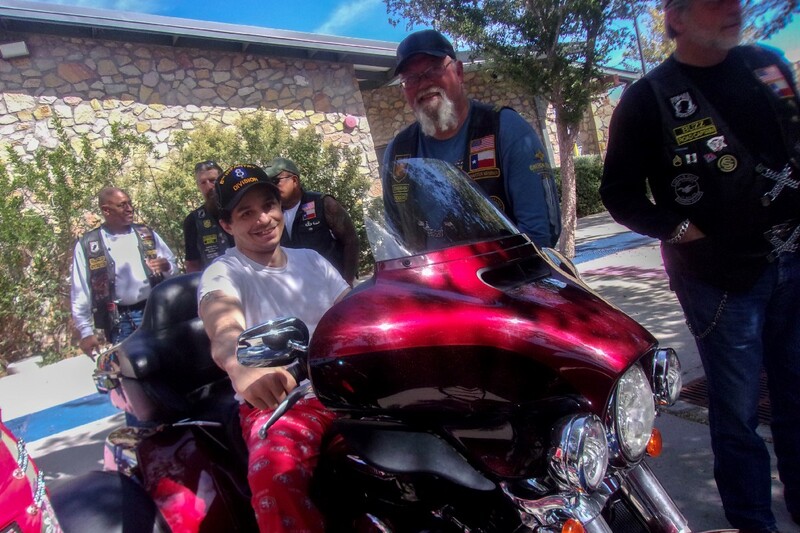 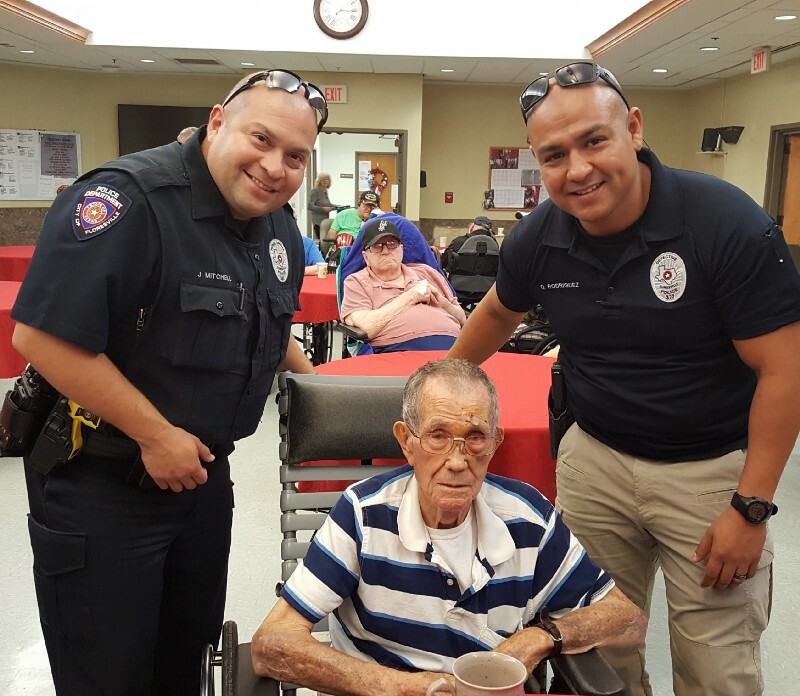 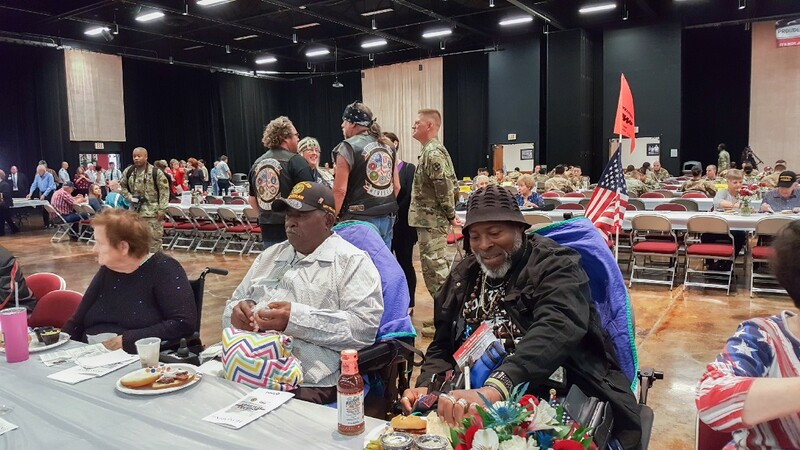 American Legion Post 58 visited residents at the Texas State Veterans Home in El Paso for Gold Star Mother’s Day on Sunday, September 30, and brought their Harley Davidson motorcycles! 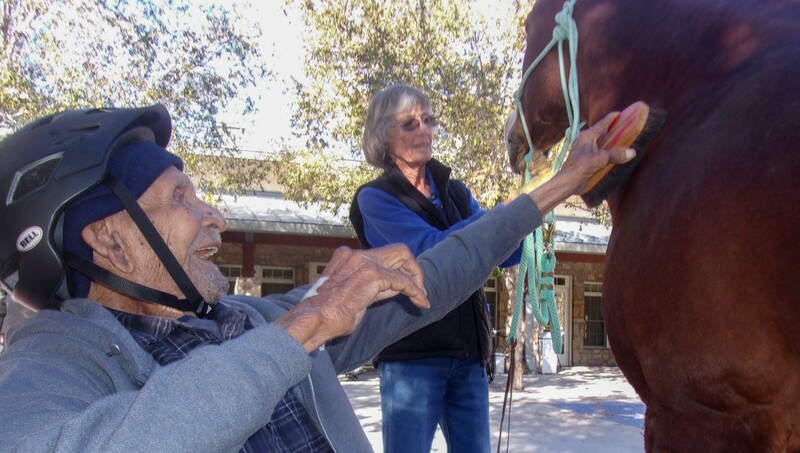 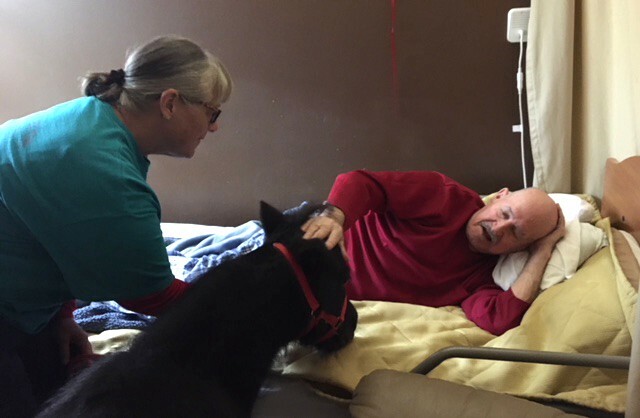 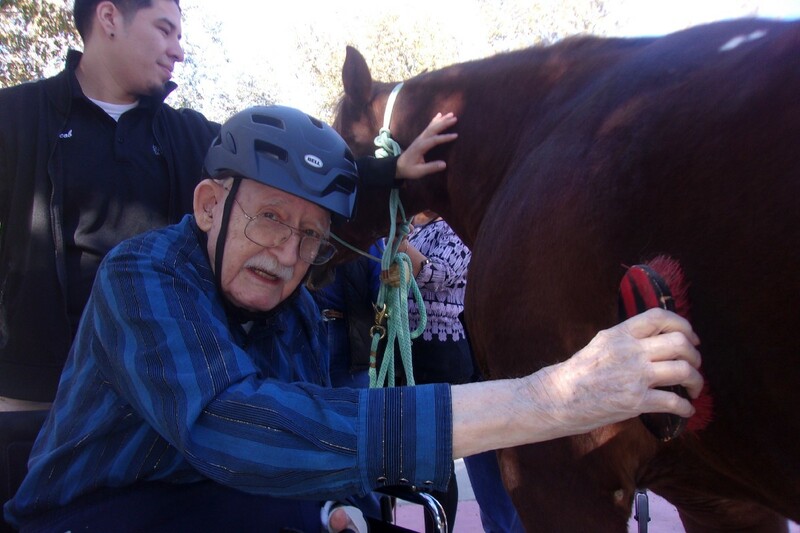 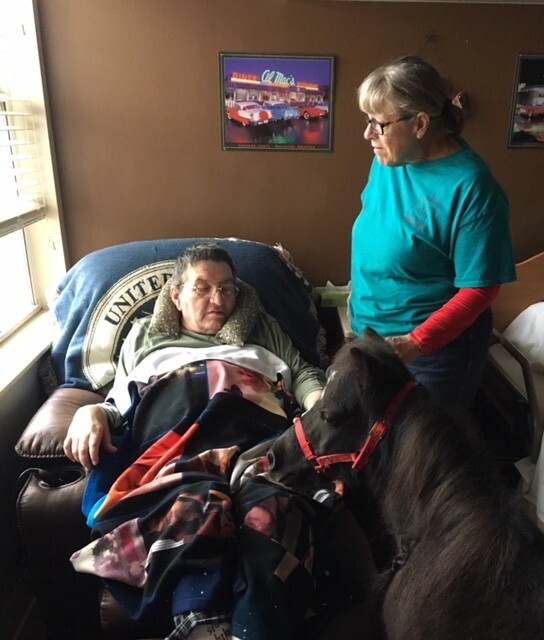 Residents visited Compadres Therapy, Inc. in October for their equine therapy . 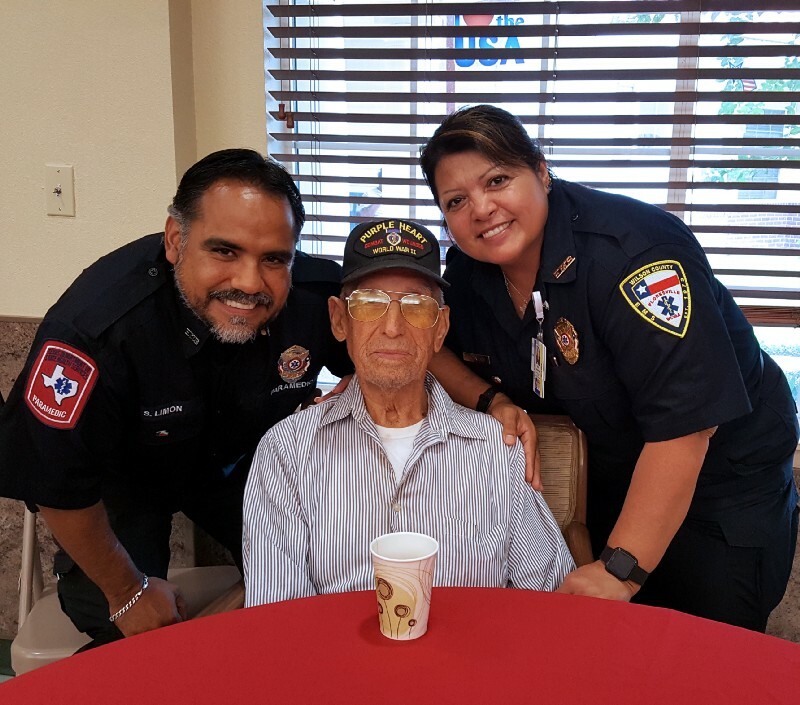 On Tuesday, September 11, the Texas State Veterans Home in Floresville, observed Patriot Day with a special ceremony. 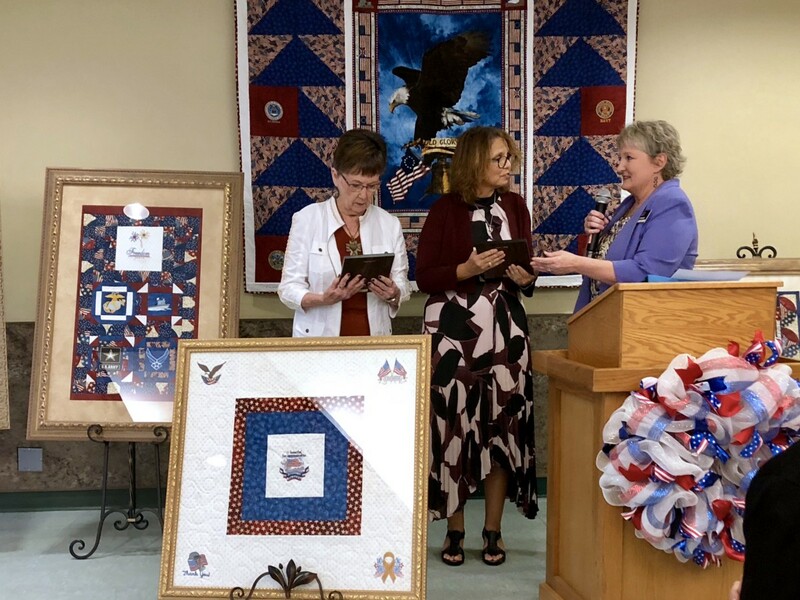 Floresville Mayor Cecelia Gonzalez-Dippel and City Manager Henrietta Turner introduced our local first responders and talked about the meaning Patriot Day. 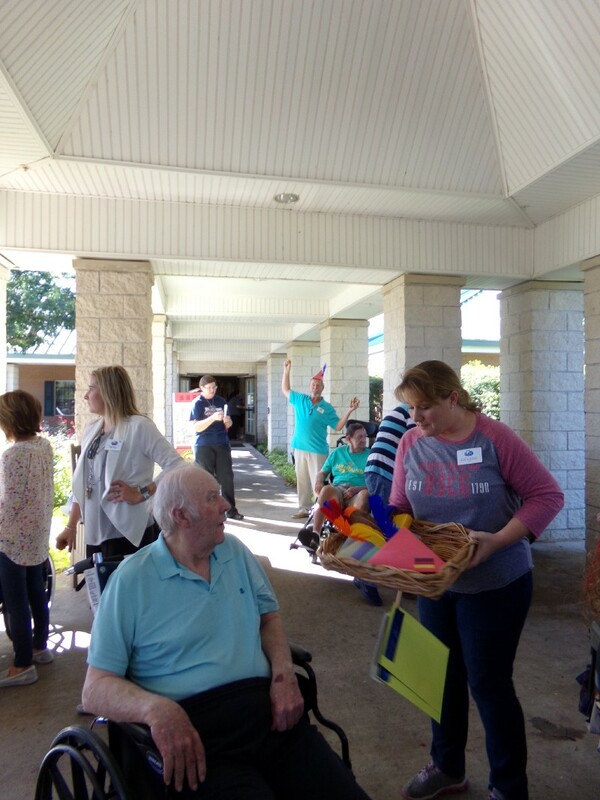 After the ceremony, while the residents enjoyed refreshments. 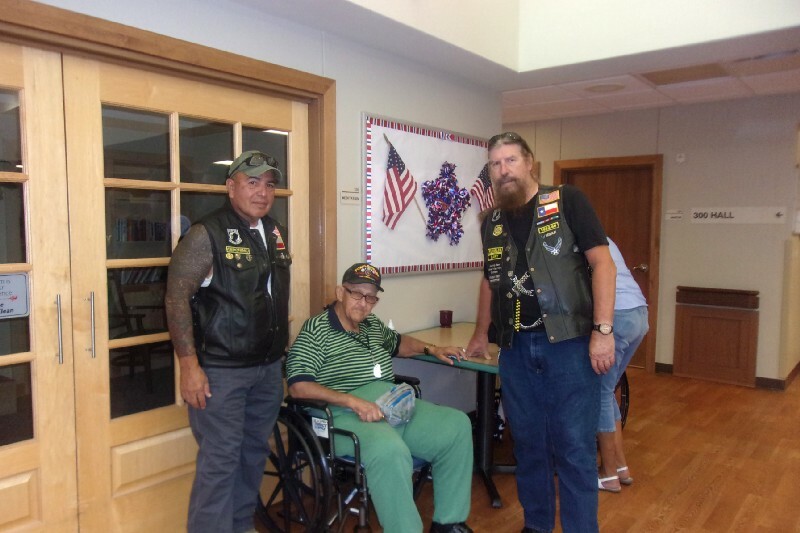 A big thank you goes to the DAV Chapter 14 for donating $250 On Friday, September 14. 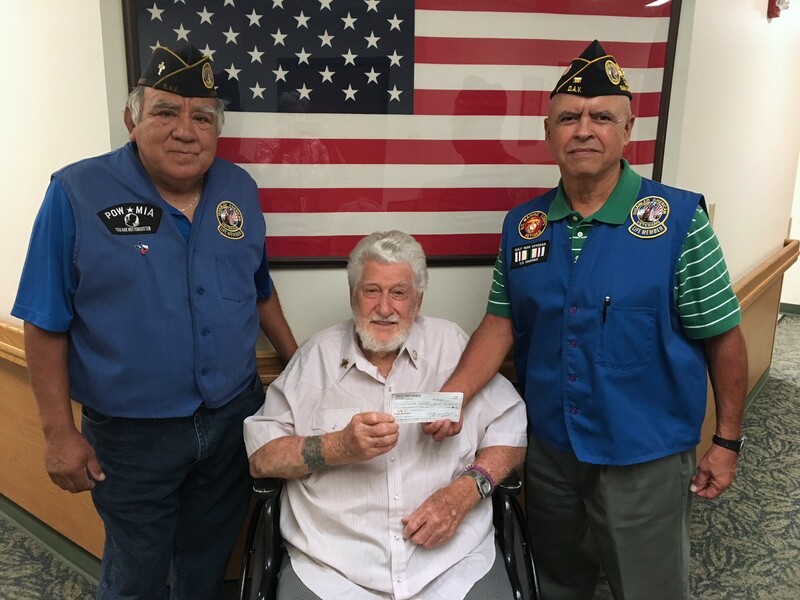 Mr. Greenwood accepted the check on behalf of the Texas Veterans Land Board and the residents of the Frank M. Tejeda Texas State Veterans Home. 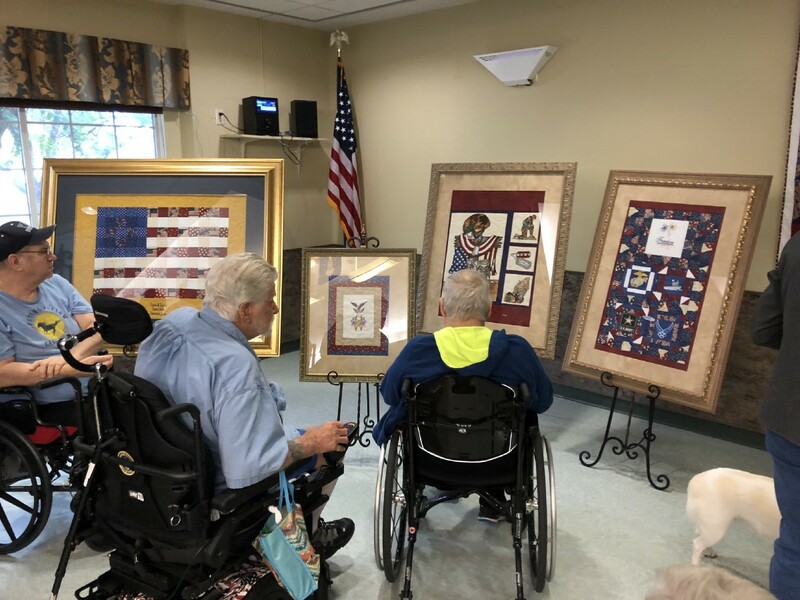 On Tuesday, October 23, the Veterans Home held an unveiling ceremony for ten amazing quilts created by Sharon Hasenbeck and Kimberly Gregg. 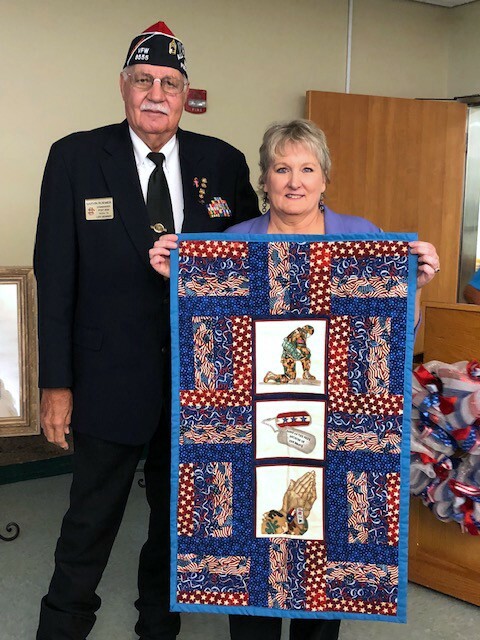 VFW Post 8555 Commander, Marvin Roemer, and his wife Molly Roemer, VFW Auxiliary President, assisted with the unveiling. 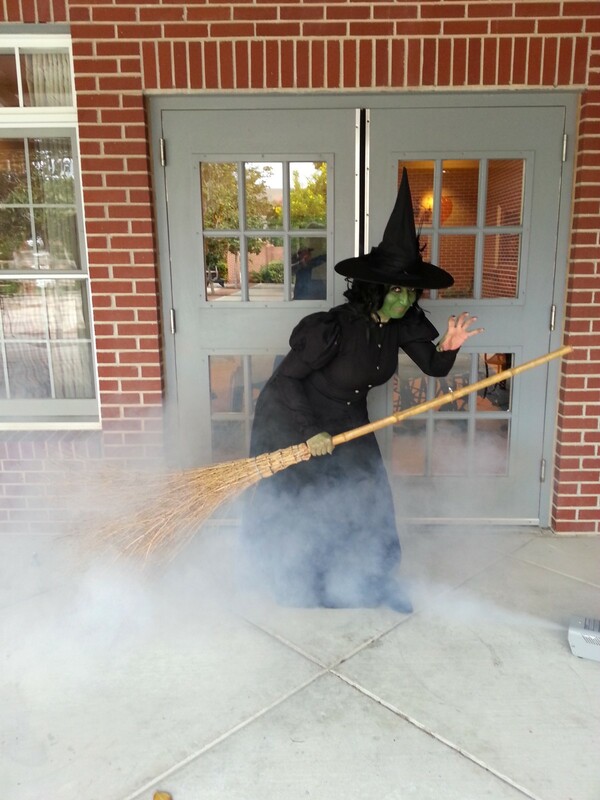 A special thanks goes out to Joyce Gray for her coordination efforts. 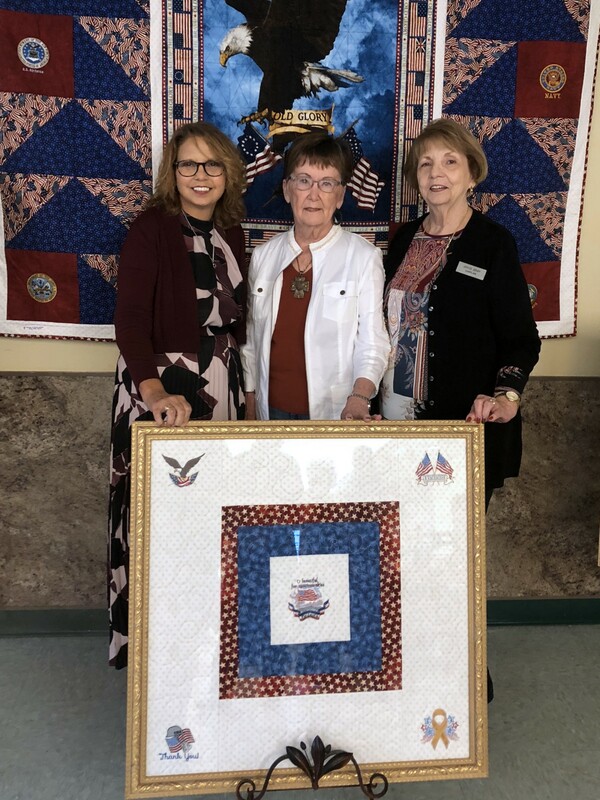 Mrs. Hasenbeck and Mrs. Gregg donated 350 hours to this project-thank you so very much Sharon and Kimberly for donating your time, talents and creativity to honor our Veterans! 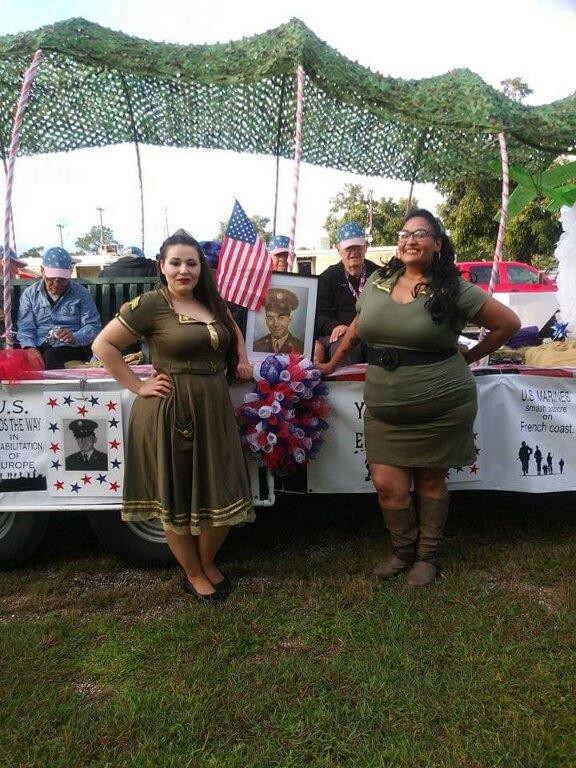 Congratulations to Frank M. Tejeda TSVH for taking 3rd place for their parade float during the peanut festival! 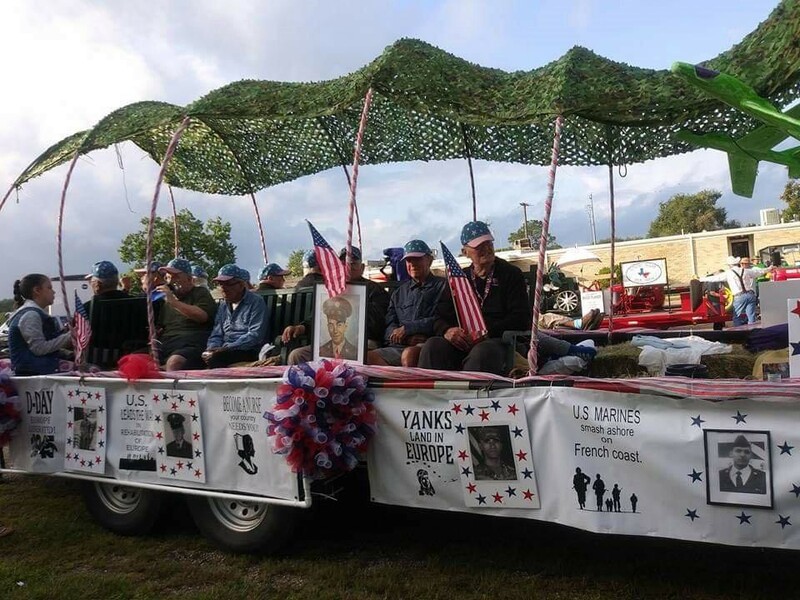 There were over 200 entries and the Veterans really enjoyed being in the parade. 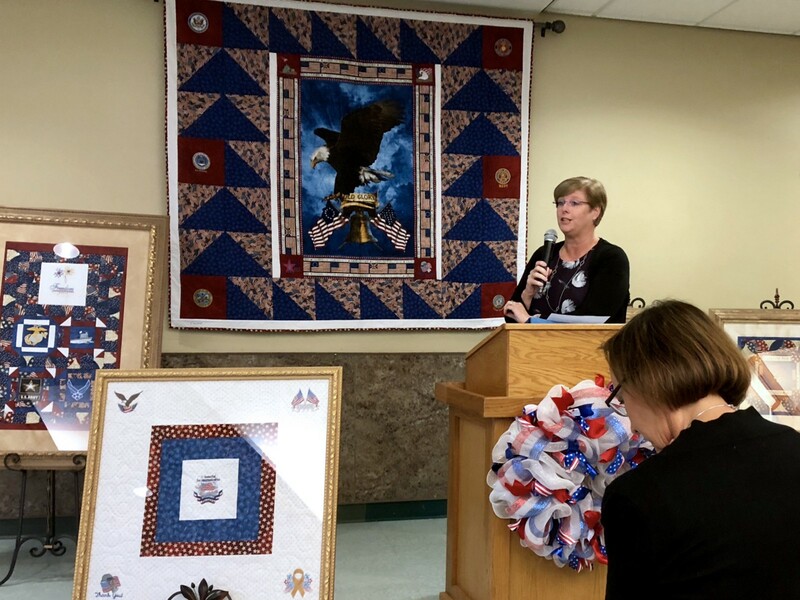 The theme this year was “Band of Brothers, Remembering Europe.” A special thanks to nurse Brenda Bailey for spearheading this effort. 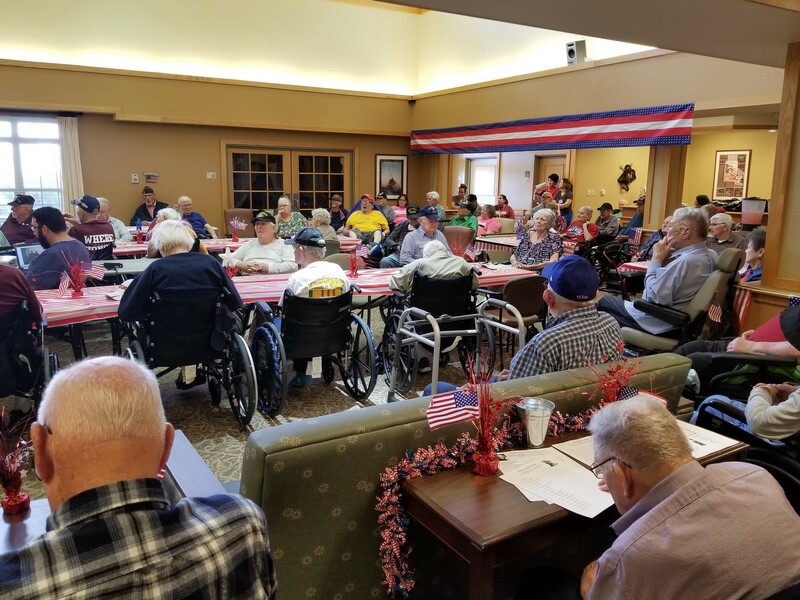 Thank you to all the team members and Veterans who participated! 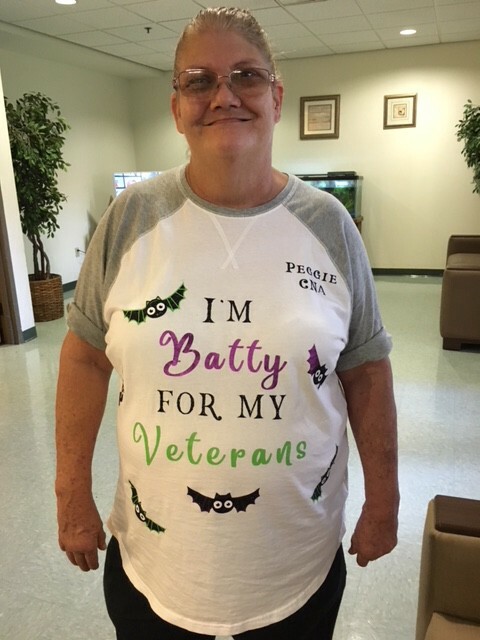 Like one team member’s shirt says, we are “batty for our Veterans.” Halloween at Frank Tejeda was a two-day event. 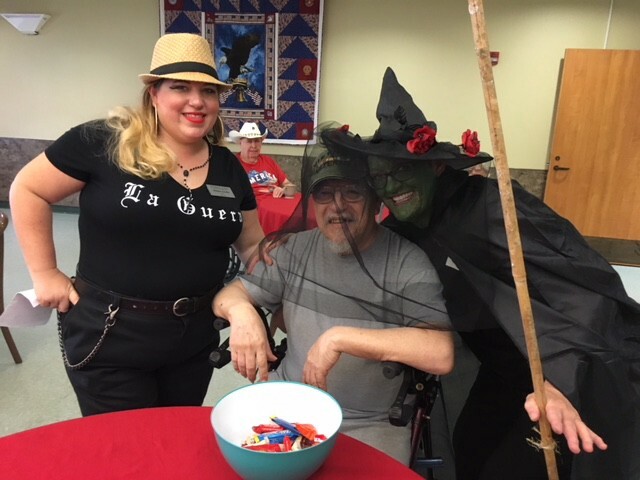 On Tuesday, October 30, we had DJ Rueben provide a Halloween show complete with music, skits and fun. 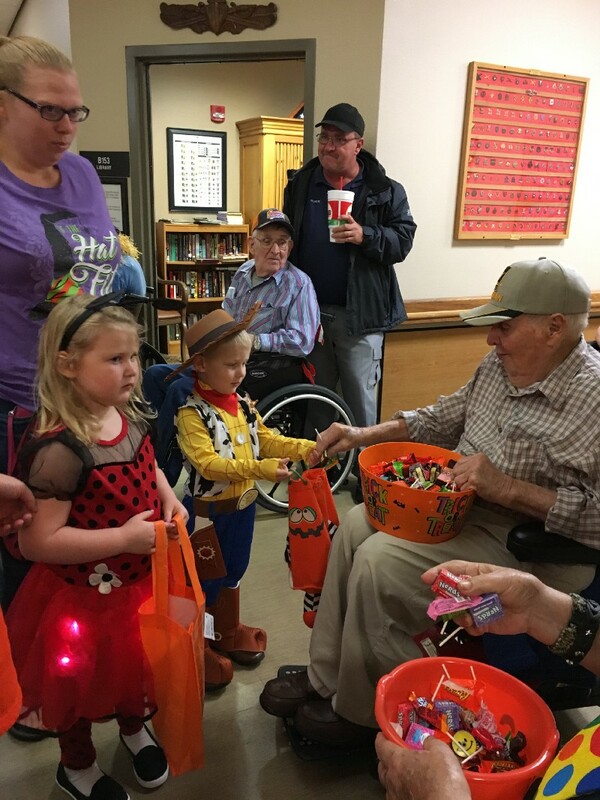 After the show, the residents gave out candy to the trick-or-treaters from the Lutheran Church nearby. 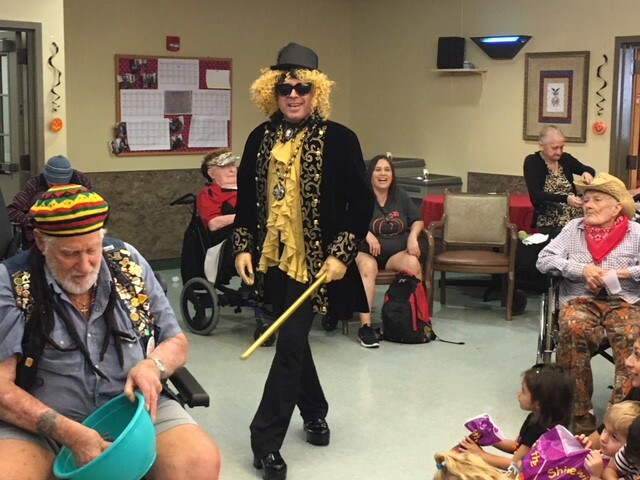 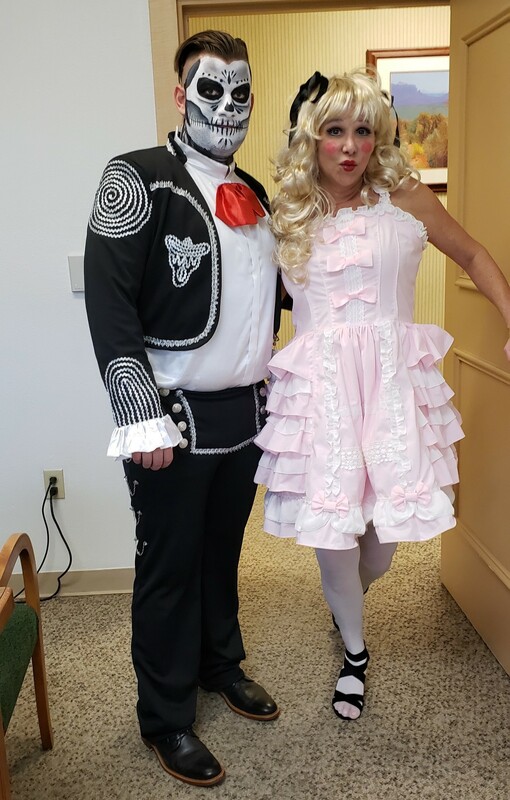 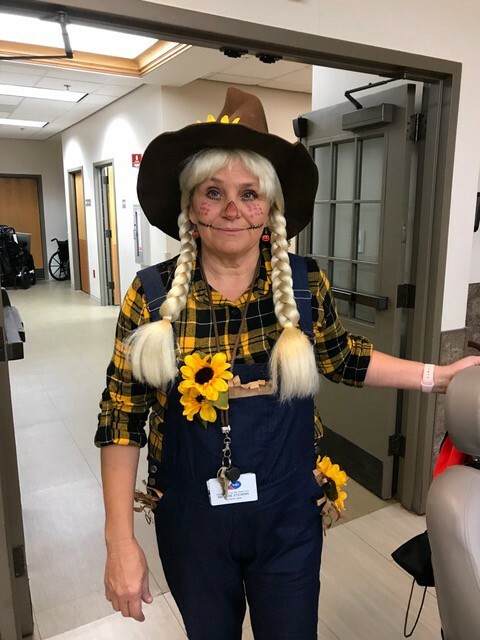 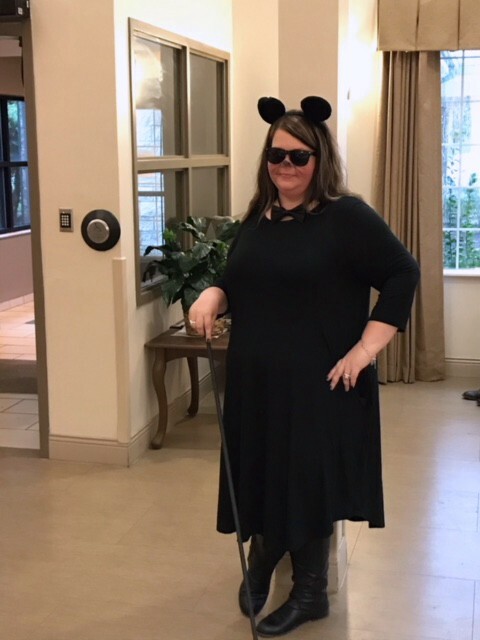 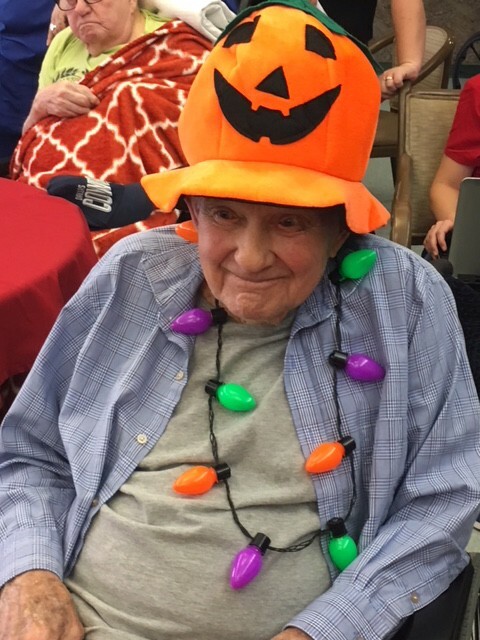 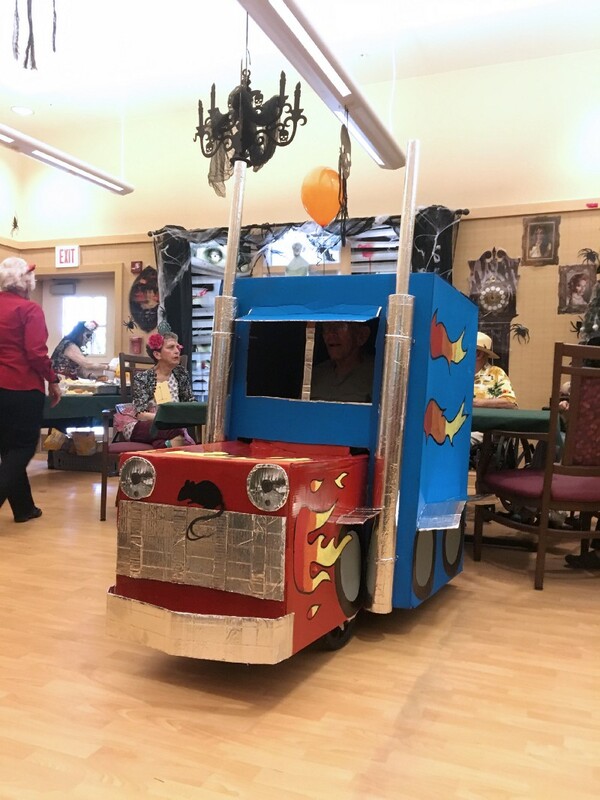 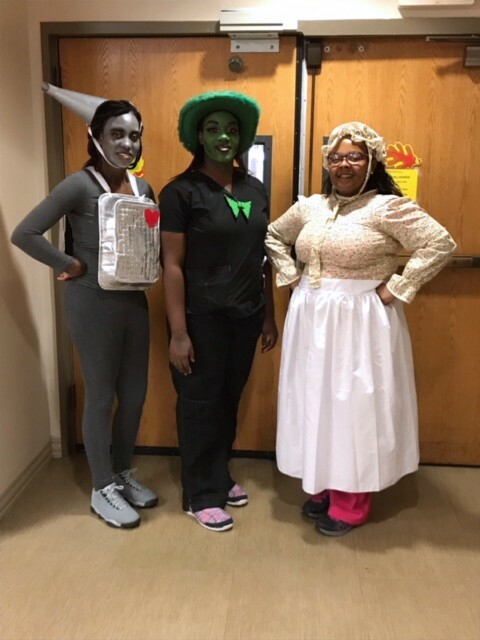 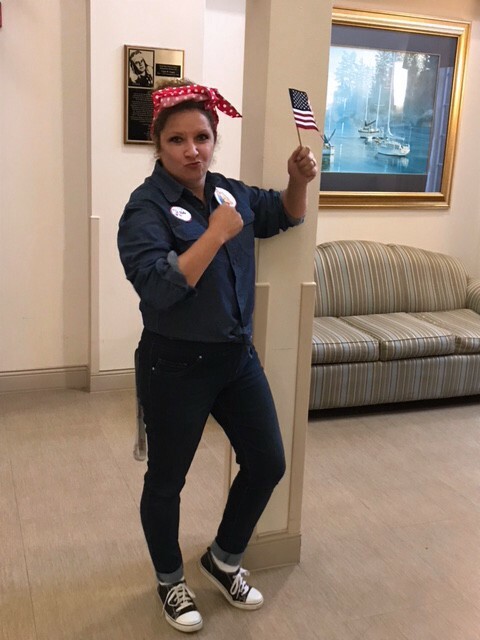 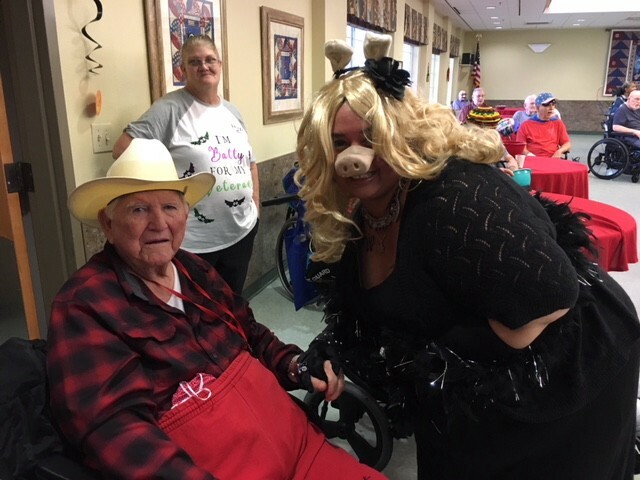 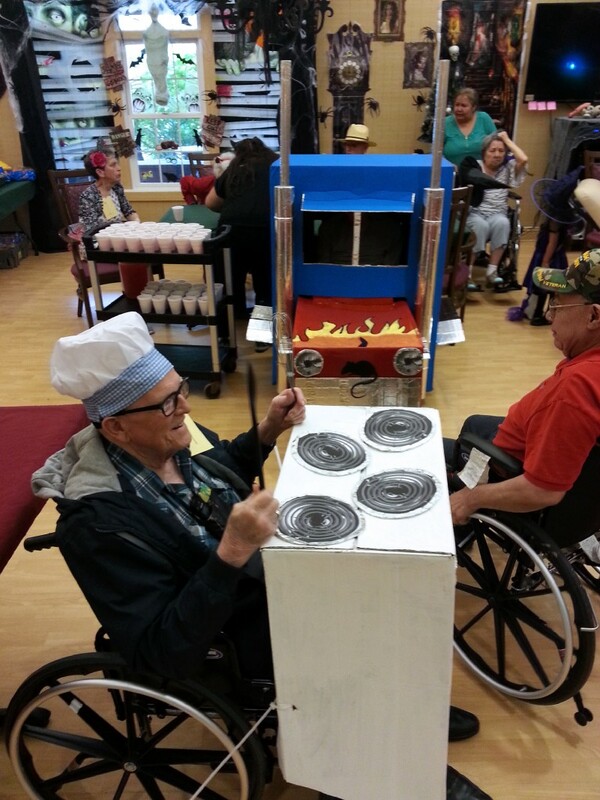 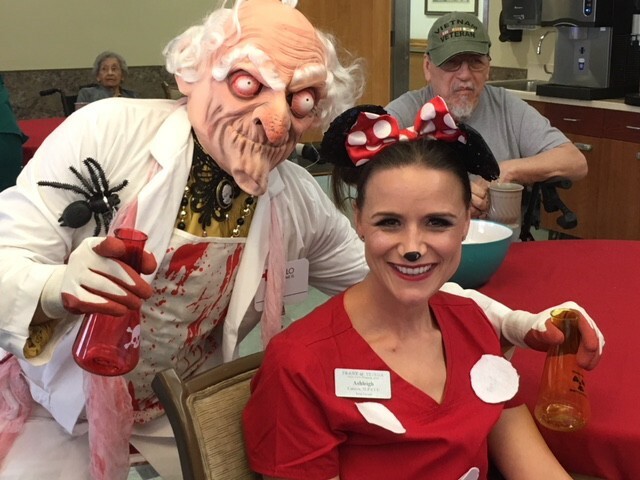 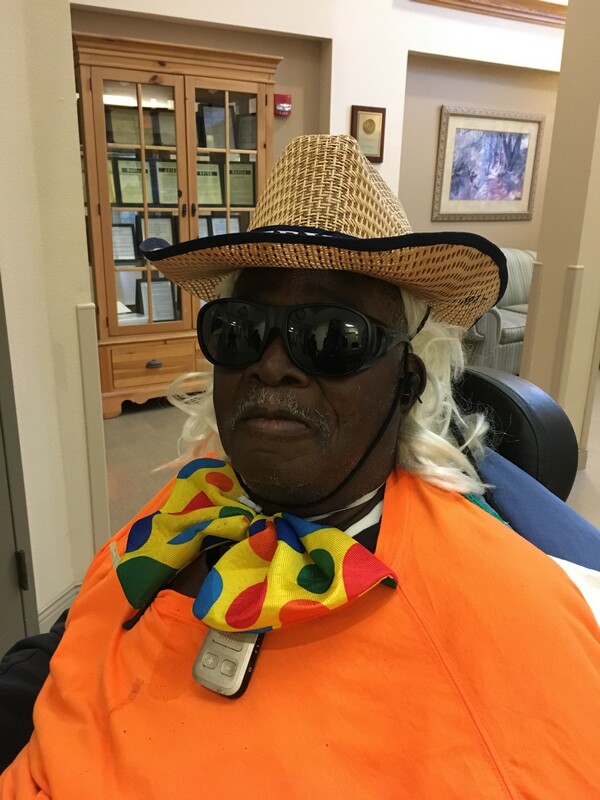 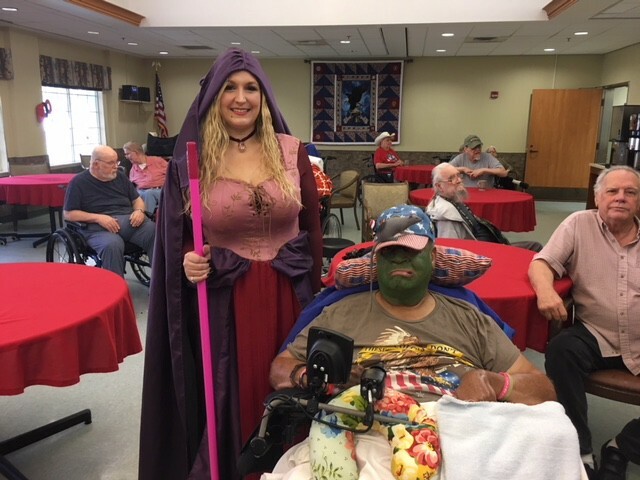 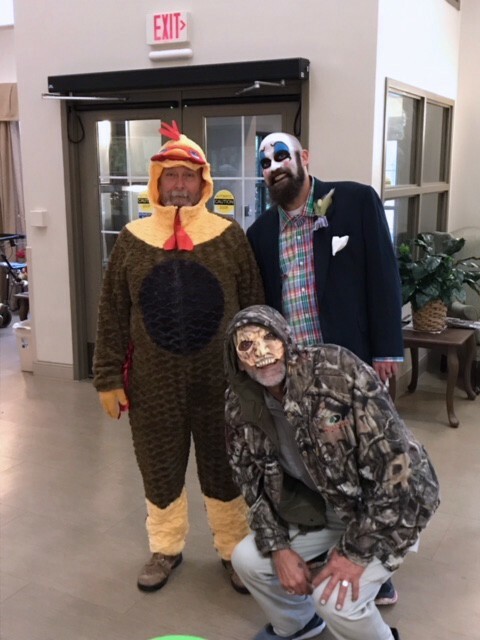 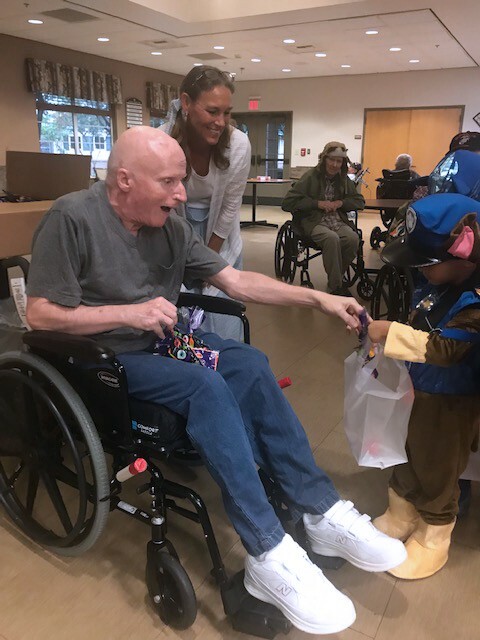 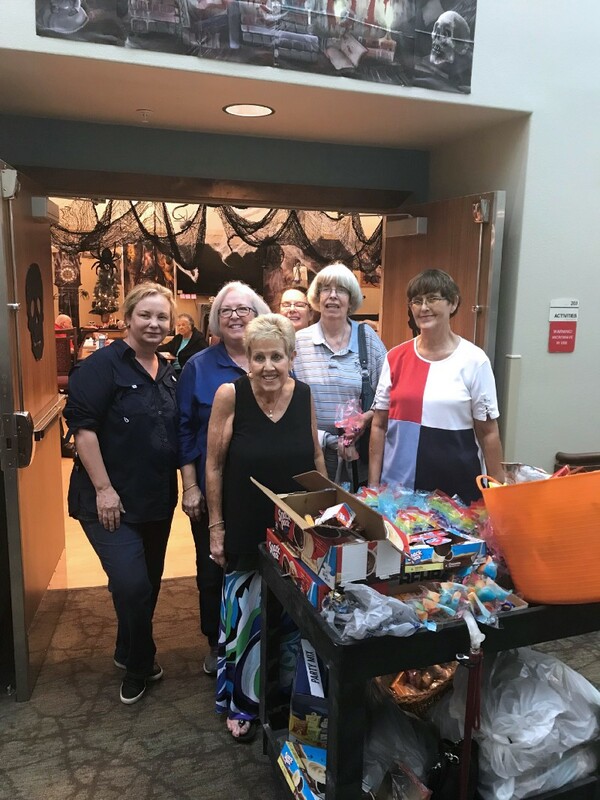 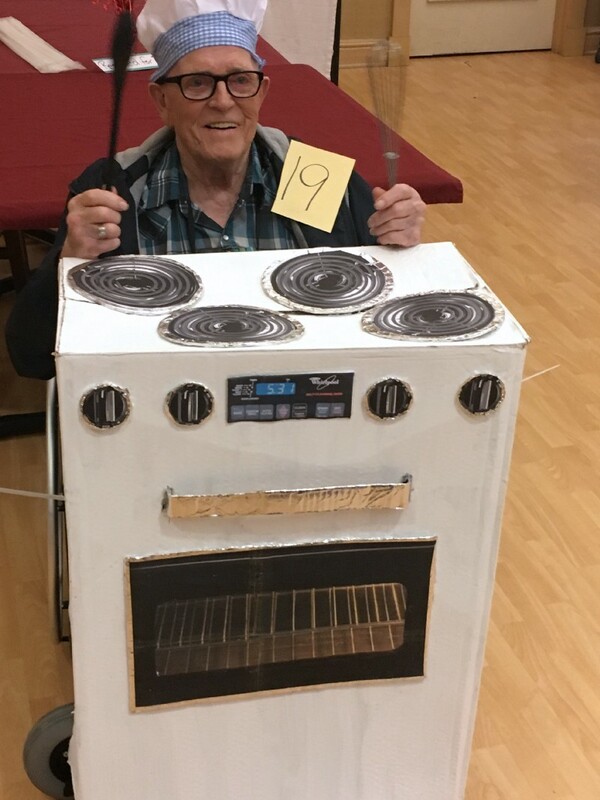 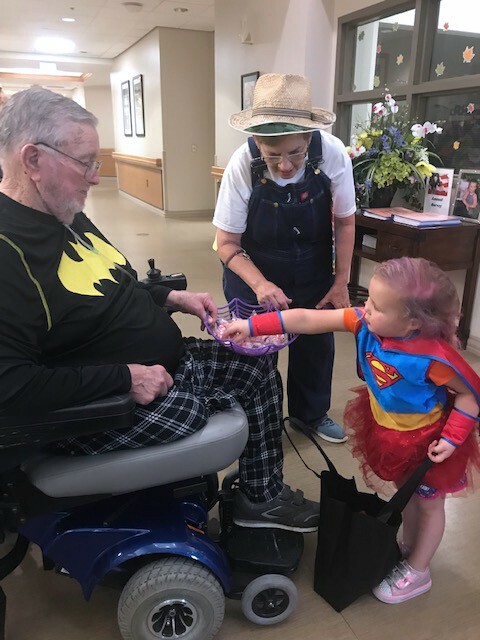 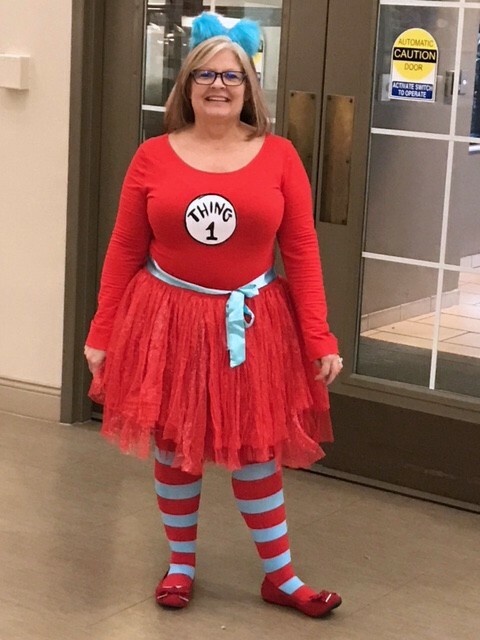 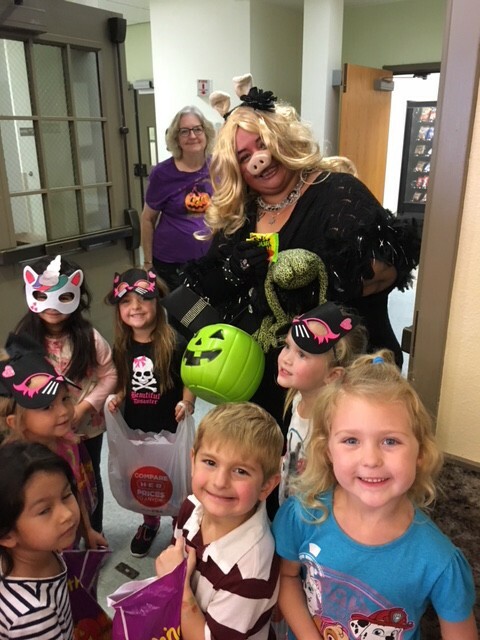 On Halloween we had the costume contest and little ones came from Giggles and Smiles Daycare and the residents enjoyed passing out even more candy! 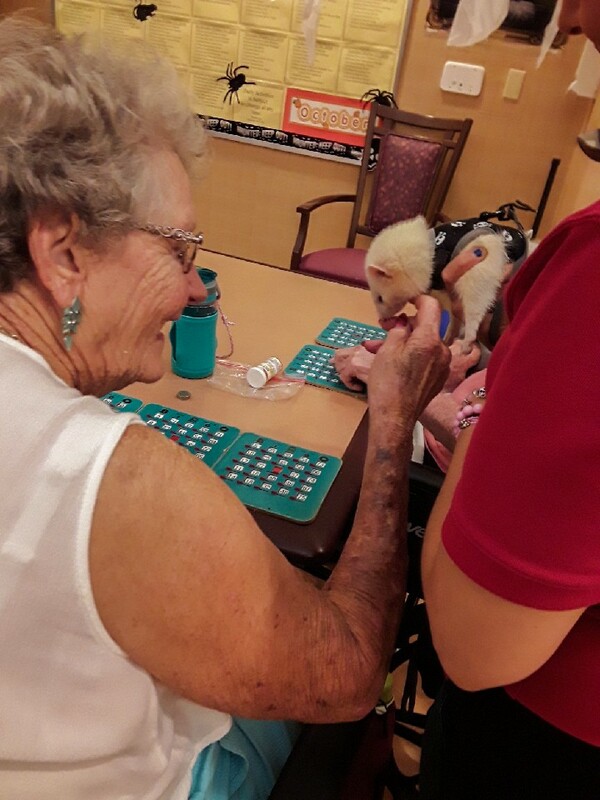 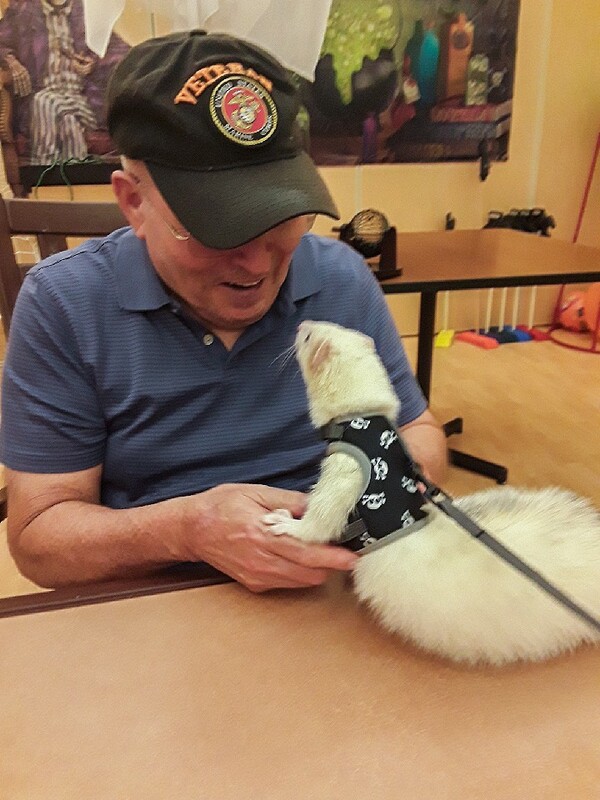 Pabu the ferret visited the Texas State Veterans Home in McAllen on October 4-he loves putting on a show! 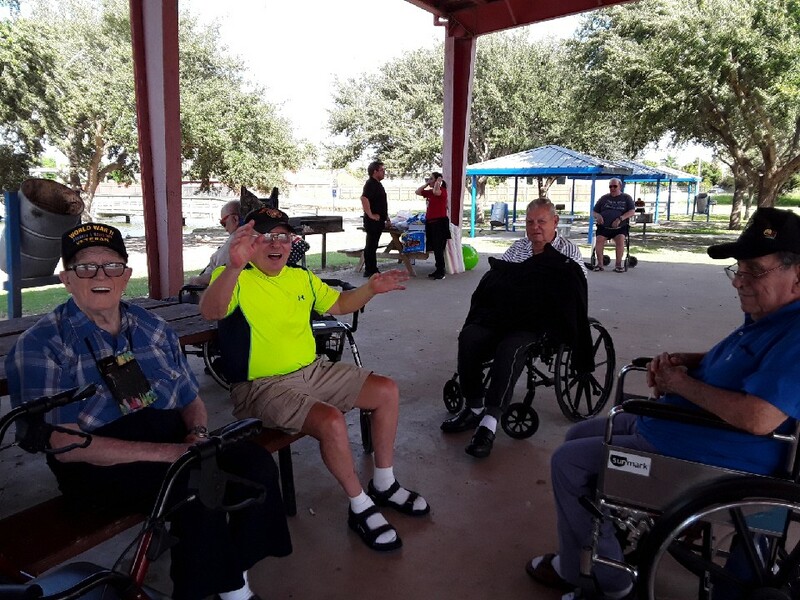 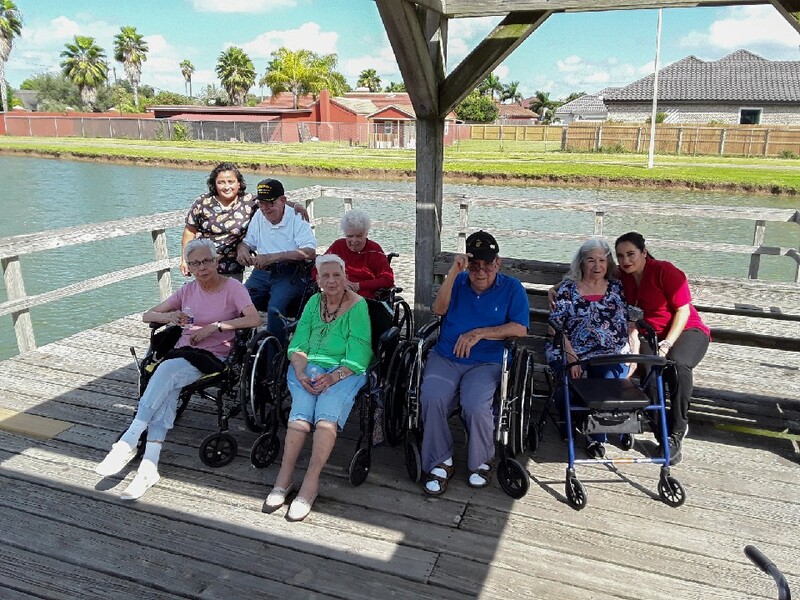 On Tuesday, October 9, everyone enjoyed an outing to the park with a BBQ lunch in Sharyland. 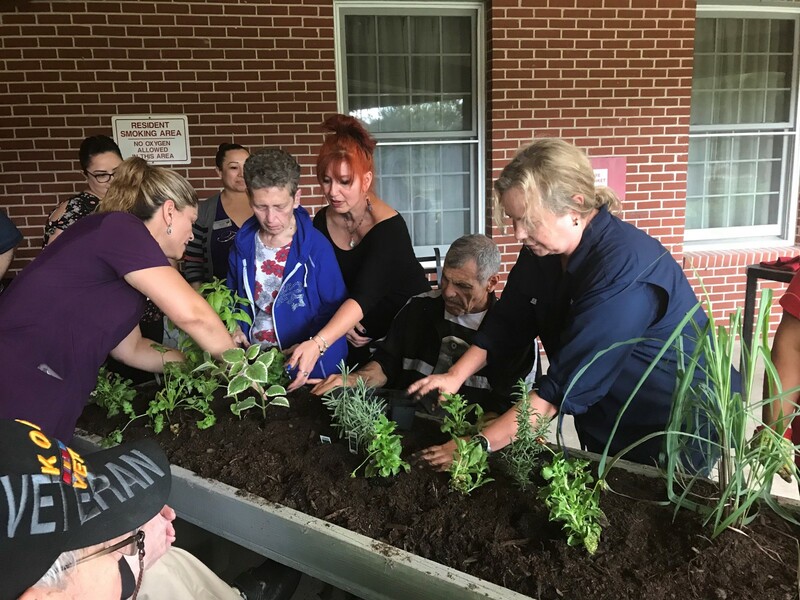 Thursday, October 11, The Daughters of the American Revolution started a new herb garden for our Memory Support residents. 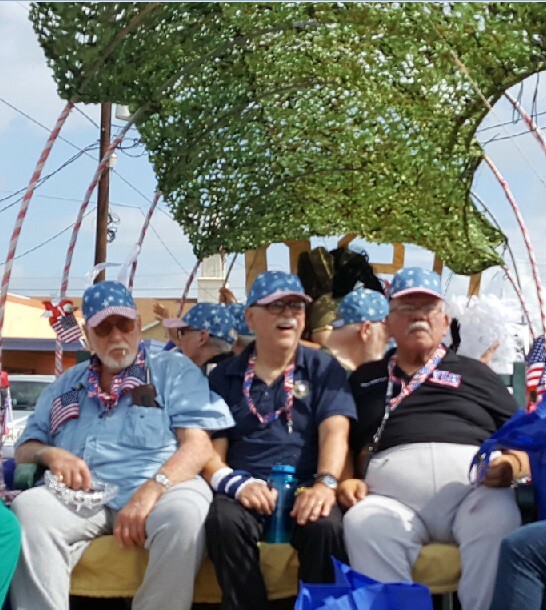 The plants were compliments of Waughs Nursery in McAllen. 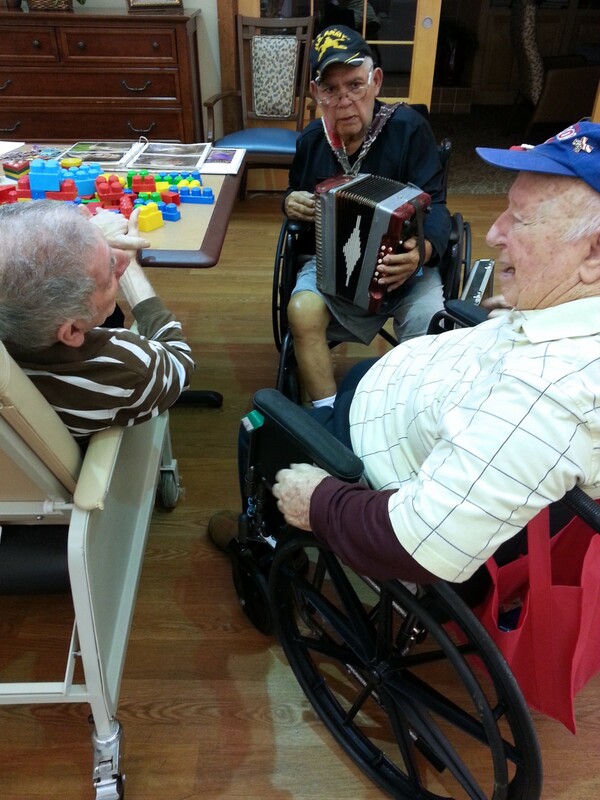 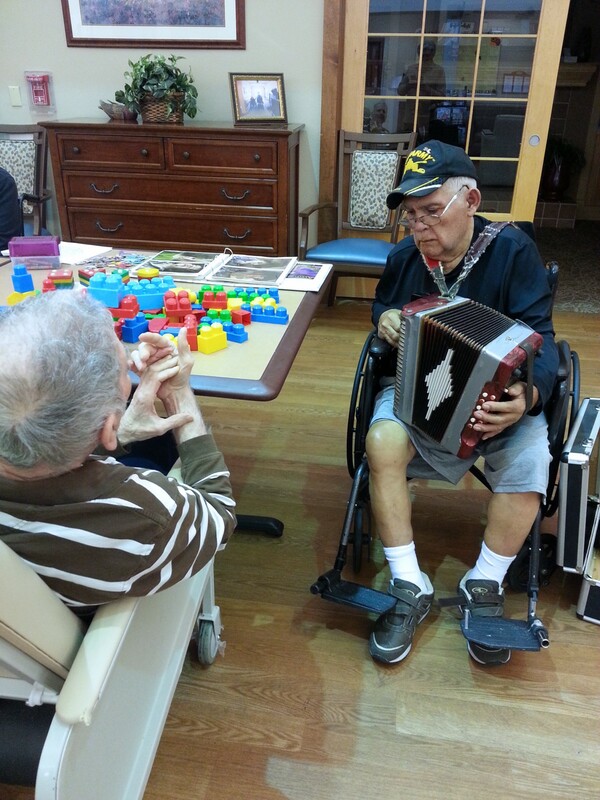 Tuesday, October 16, Tomas Krummel entertained fellow residents with his accordion in the day room. 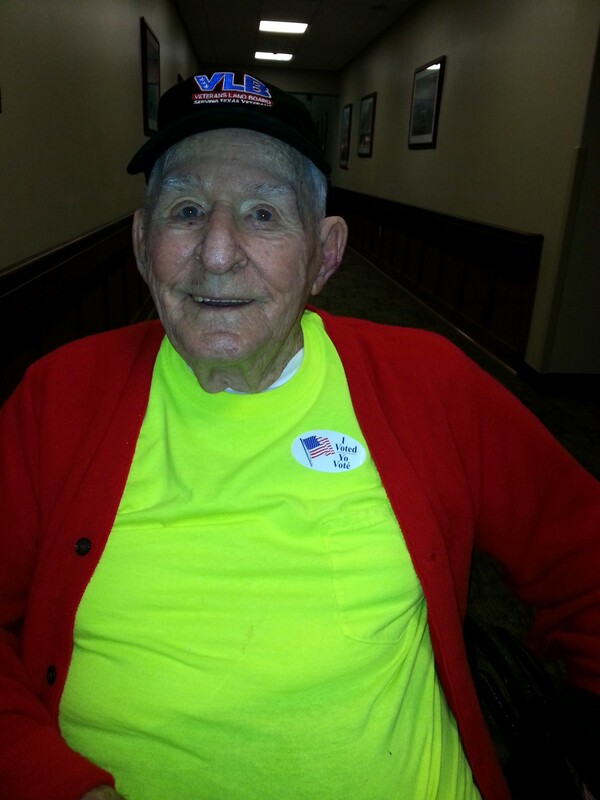 100 year-old Veteran Harry James wants to urge everyone to go out and vote. 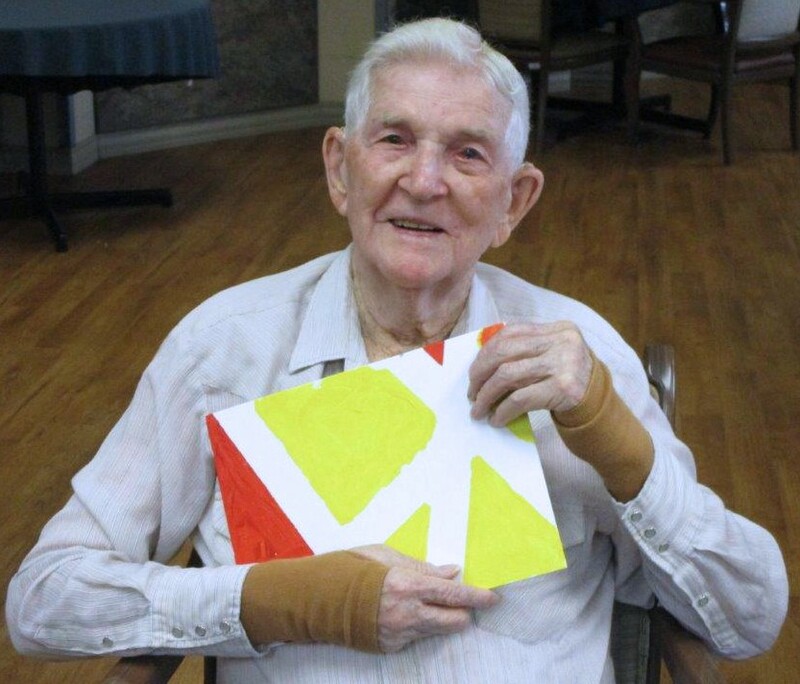 After he voted he went right back to work on his water colors. 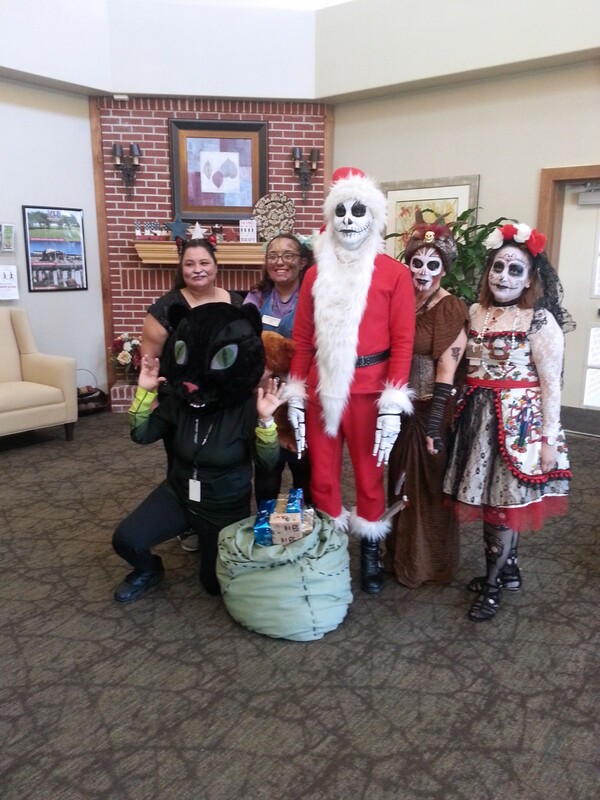 Reception Grinch says, “Here, we’re all about customer service.” This year’s winners of the costume contest included Master Chef Hybrid Johnson, 18-Wheeler Charlie Hill and Grandpa Vader, but grand prizes went to Sniper Bob Alcacer and Wicked MSW Alma. 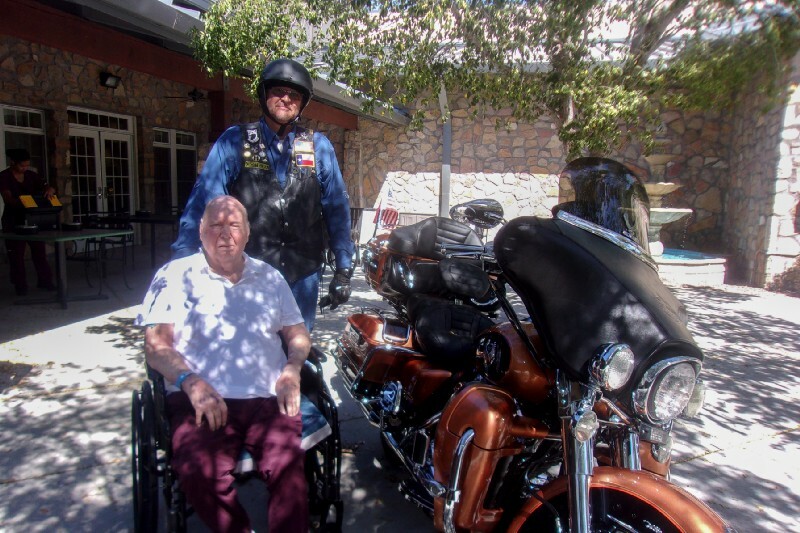 On Thursday, September 13, at the Texas State Veterans Home in Temple, the Horny Toad H.O.G. 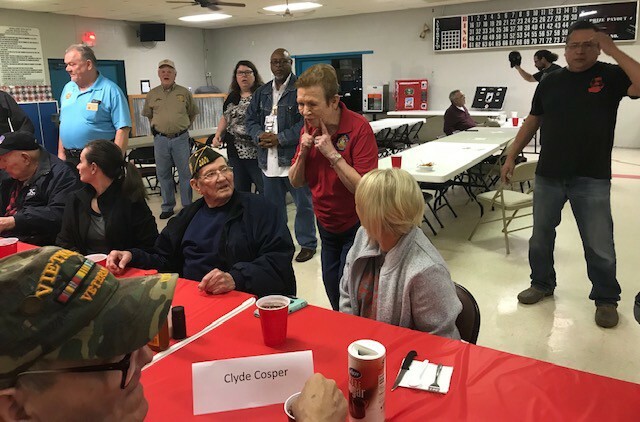 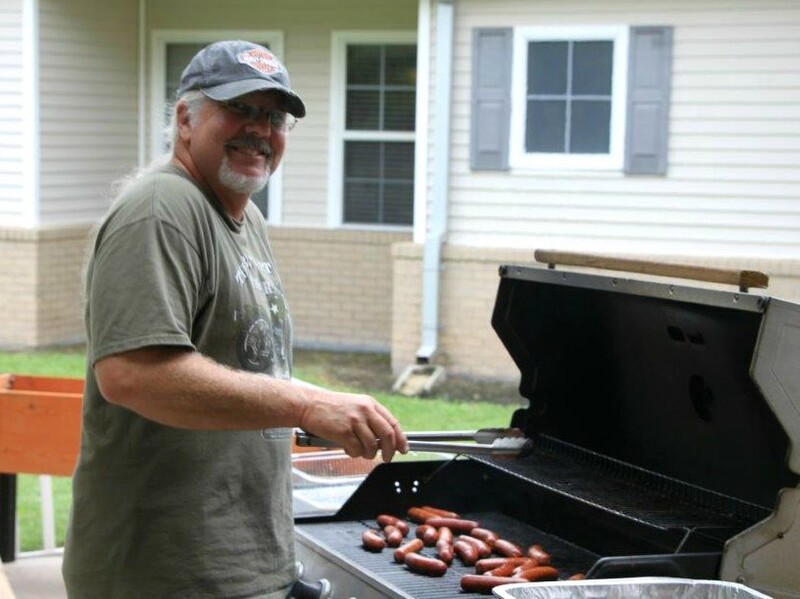 Chapter 2071 hosted their annual cookout for the Veterans. 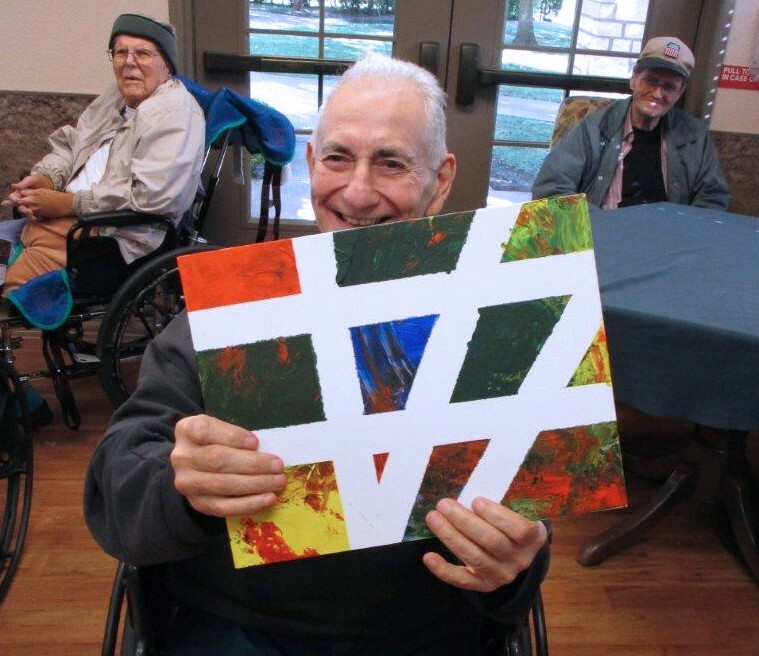 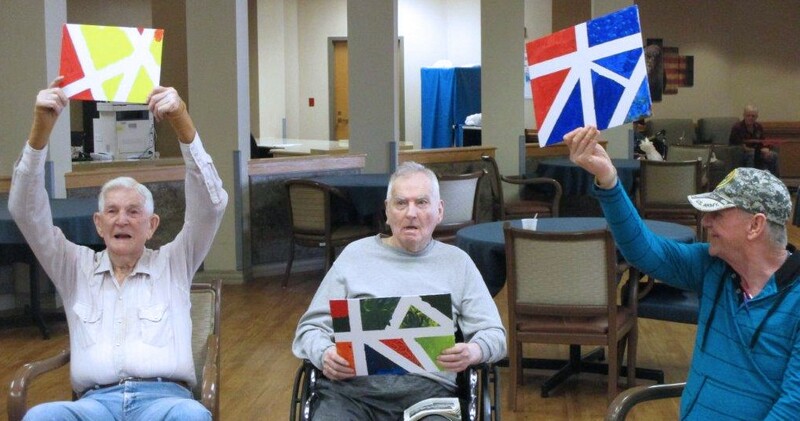 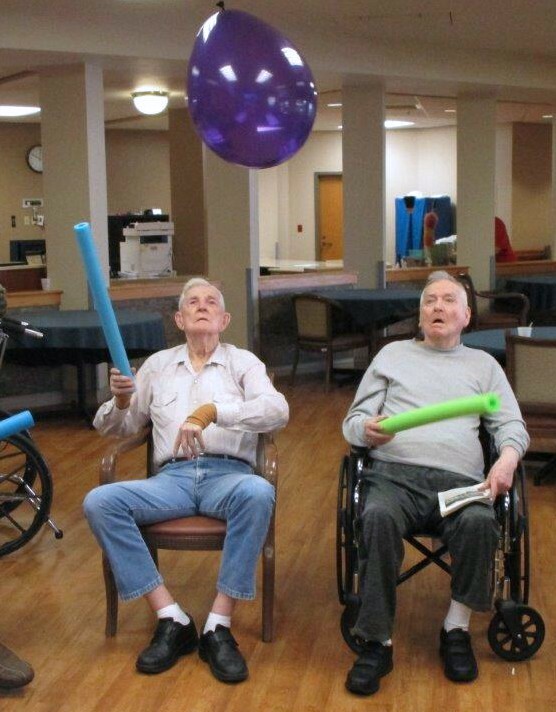 Also, on September 13, the memory support unit residents had a great day making art and playing balloon bat. 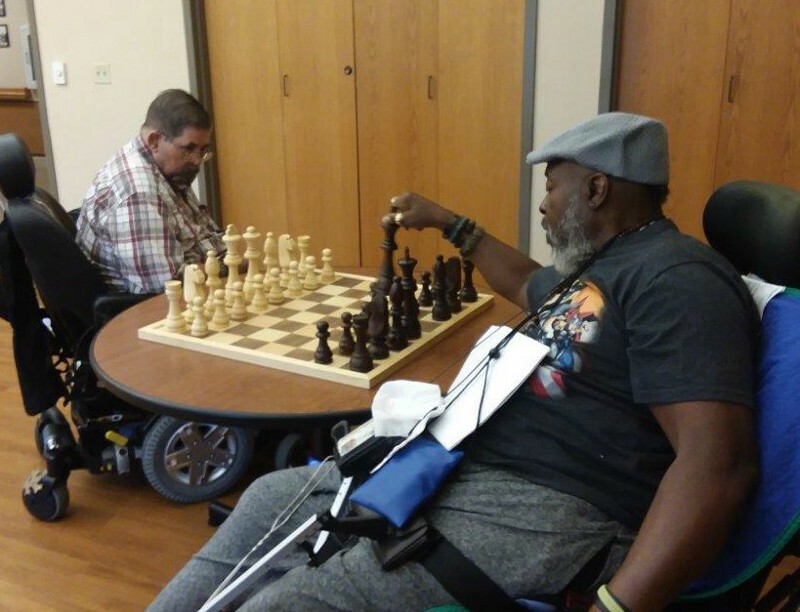 On Monday, October 8, many of the residents registered to vote and Charles Howard taught the other residents how to play chess. 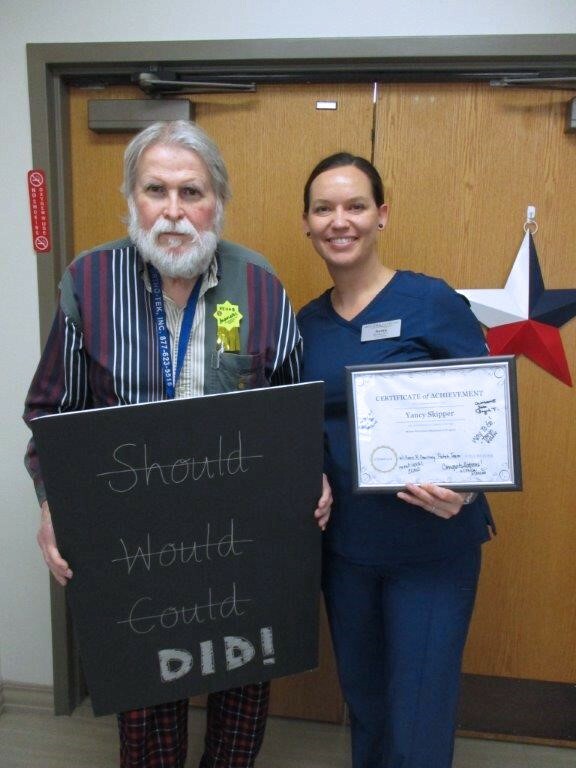 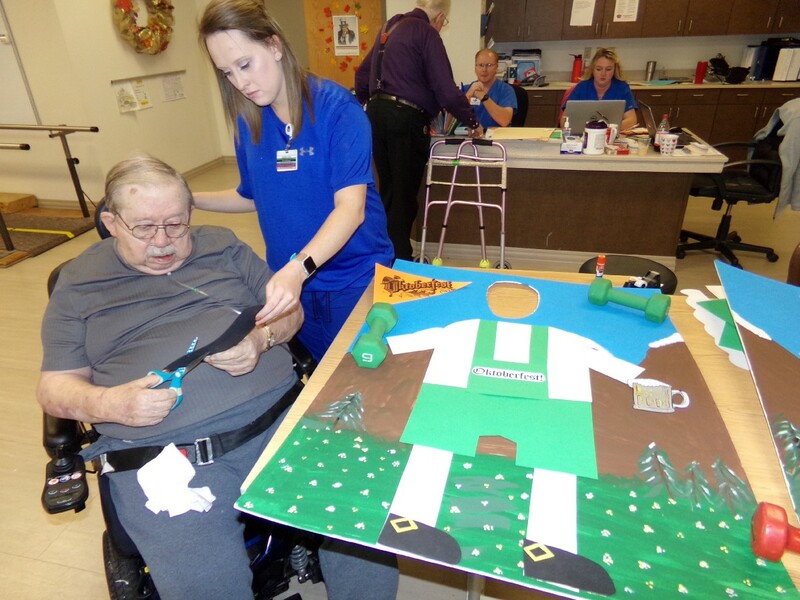 Friday, October 12, a Veteran resident named Skipper graduated from physical therapy with the help of our Director of Rehabilitation, Jessica Breeden. 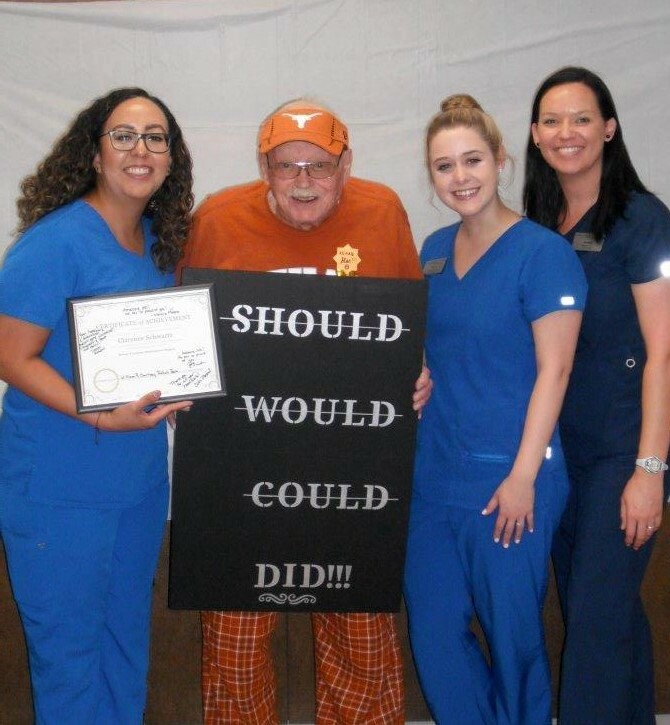 We are so proud of Mr. Skipper! 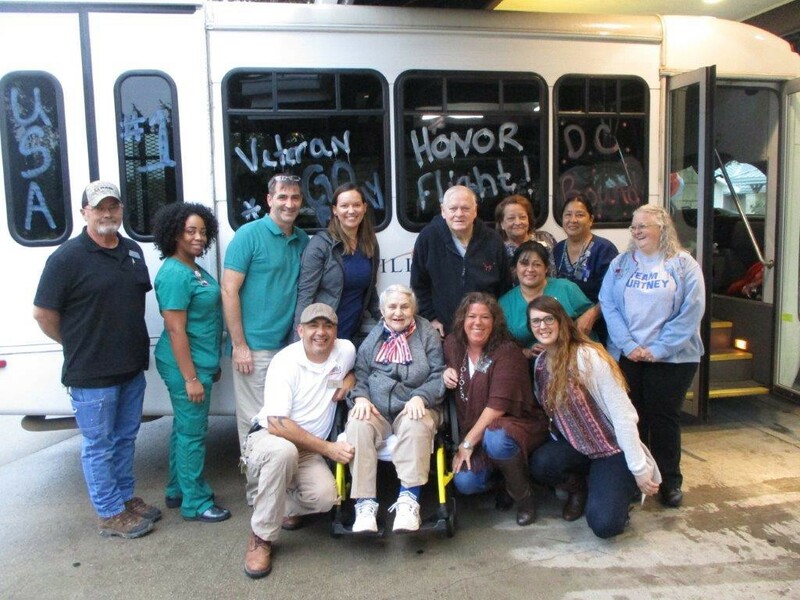 October 19, we sent off one of our Honor Flight Veterans this morning, Ms. Maria Shipp! 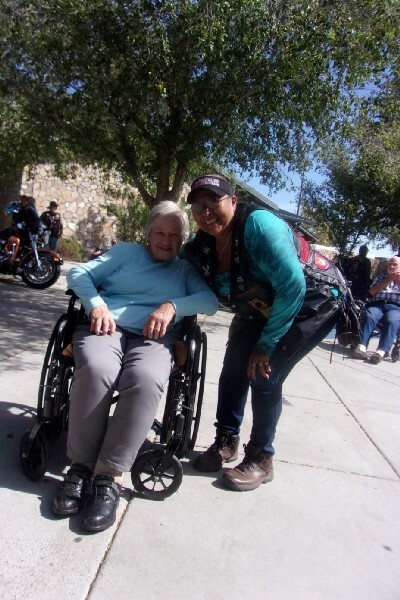 She served in the U.S. Army as an Air Traffic Controller from January 1961 to May 1979. 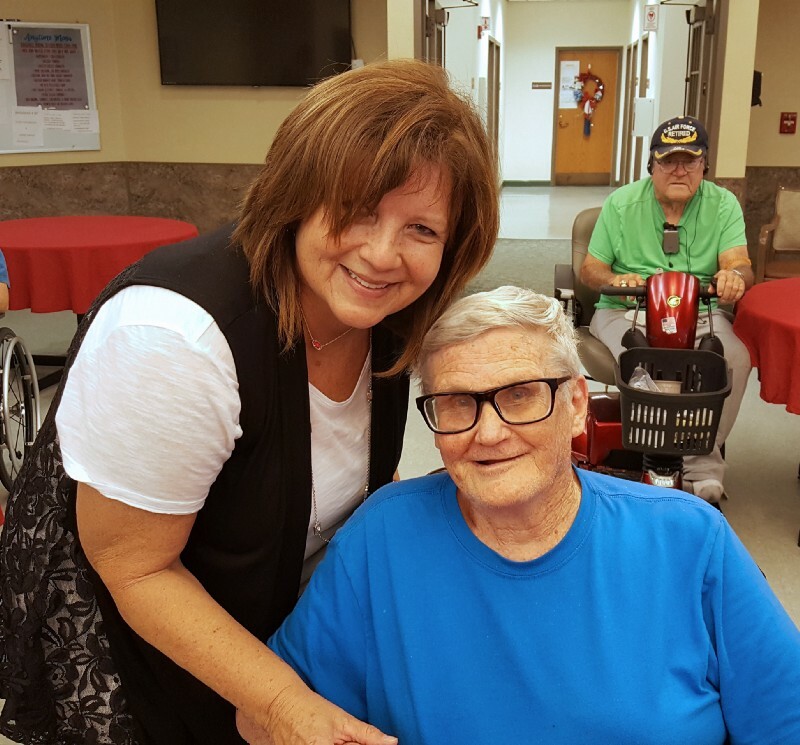 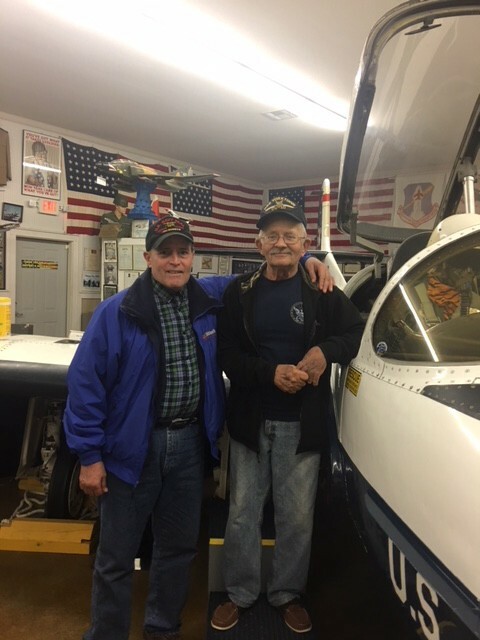 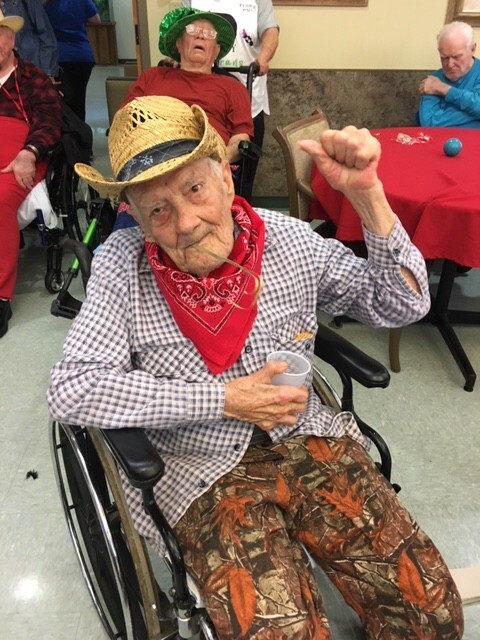 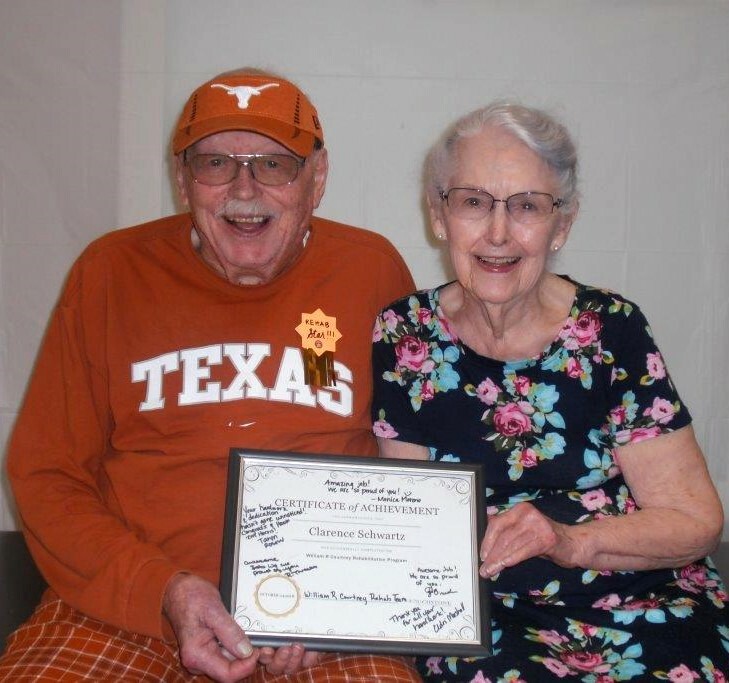 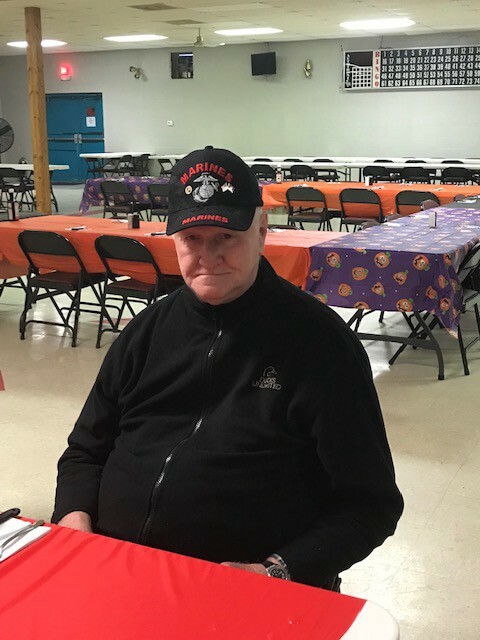 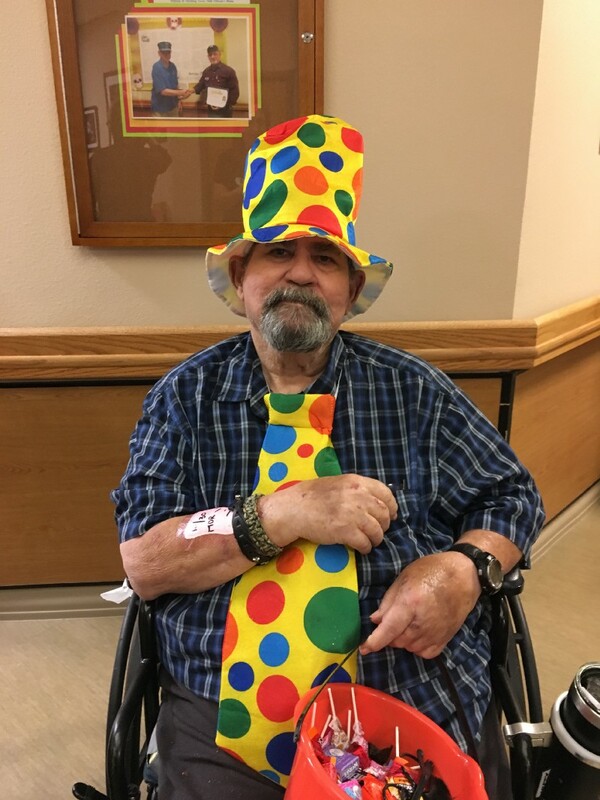 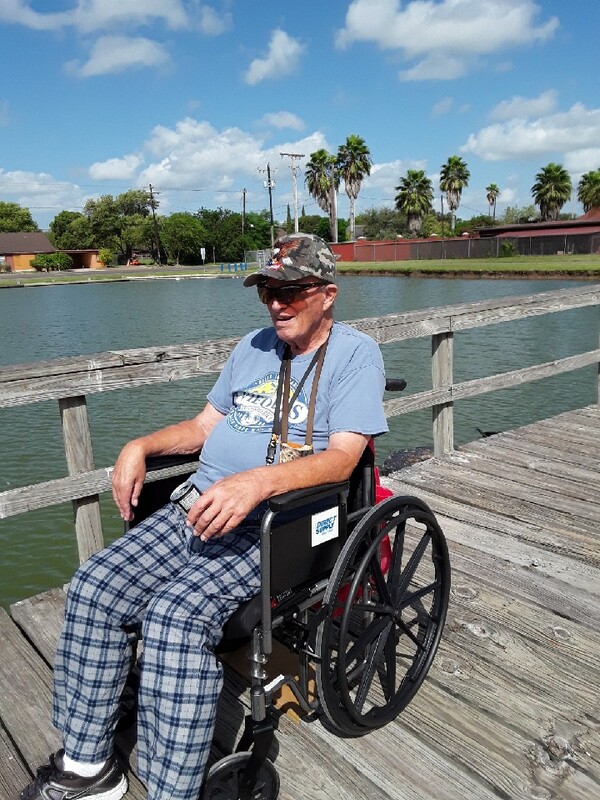 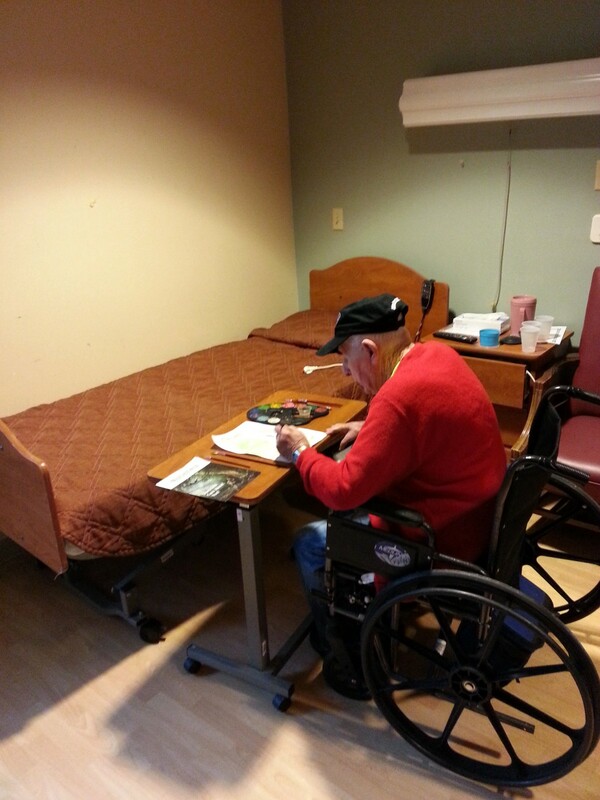 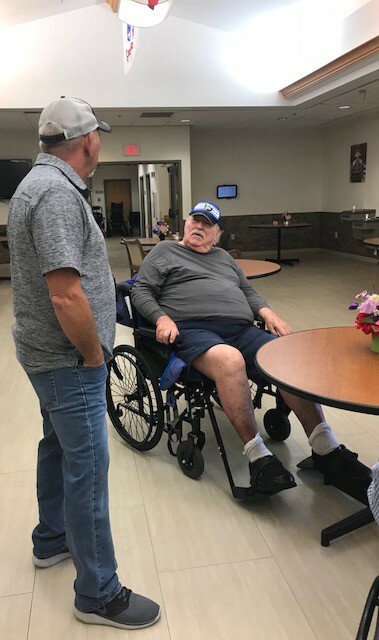 Clarence Schwartz came to the William R. Courtney Veterans Home for rehab and after successfully completing his program was able to head home on October 25. 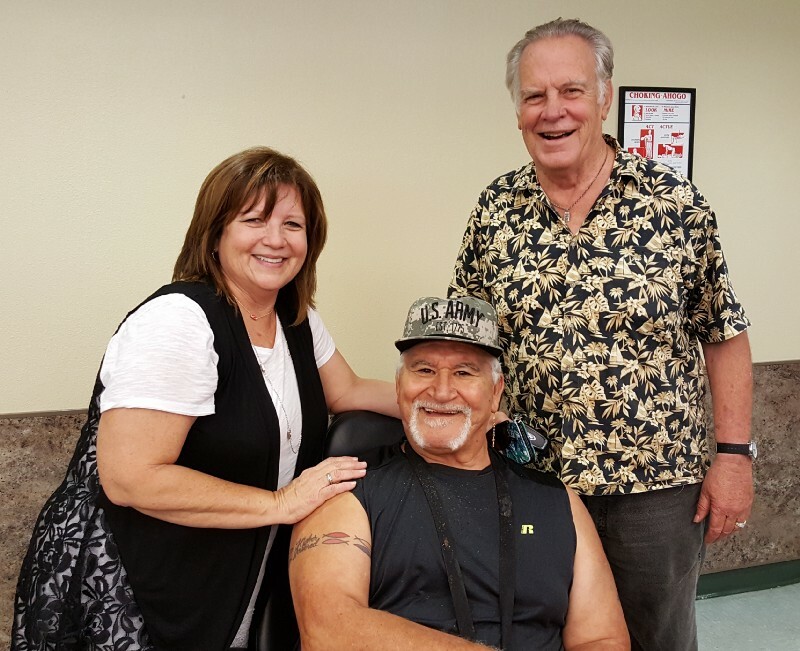 We are so proud of him and delighted that we could help him out! 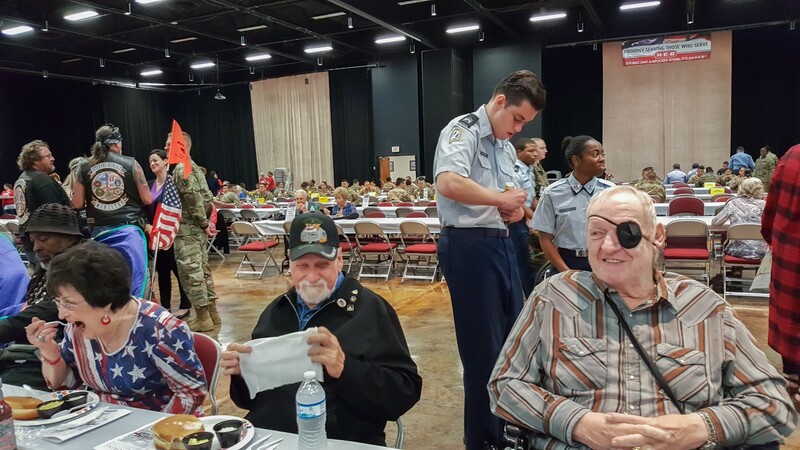 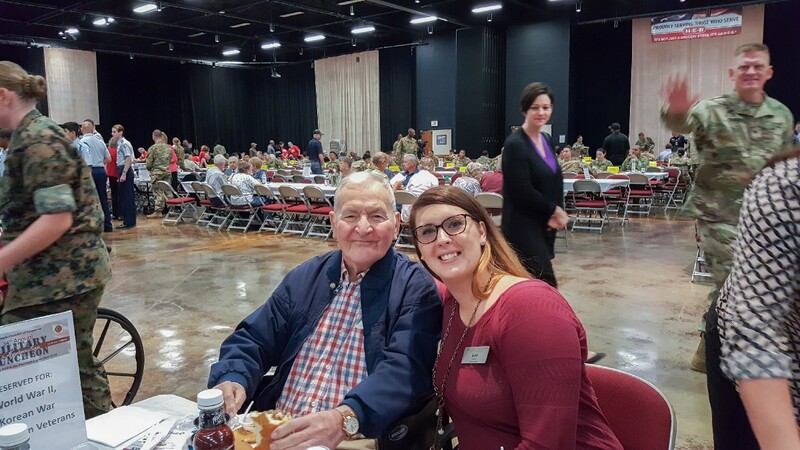 Tuesday, October 30, The Chamber of Commerce held their yearly appreciation luncheon for all the area Veterans. 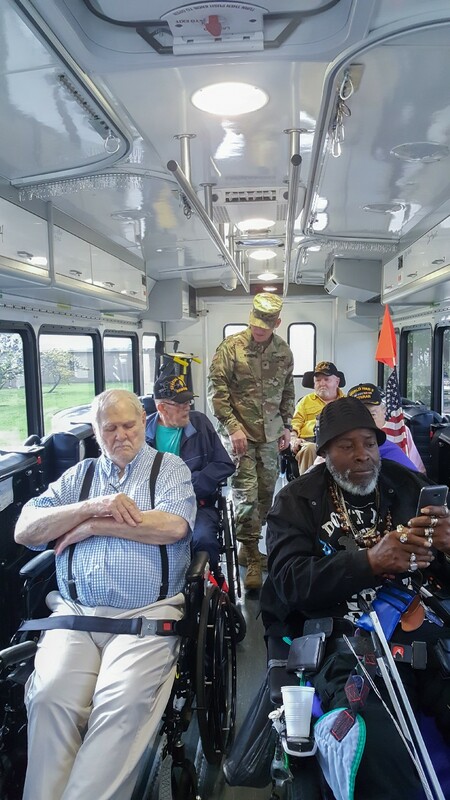 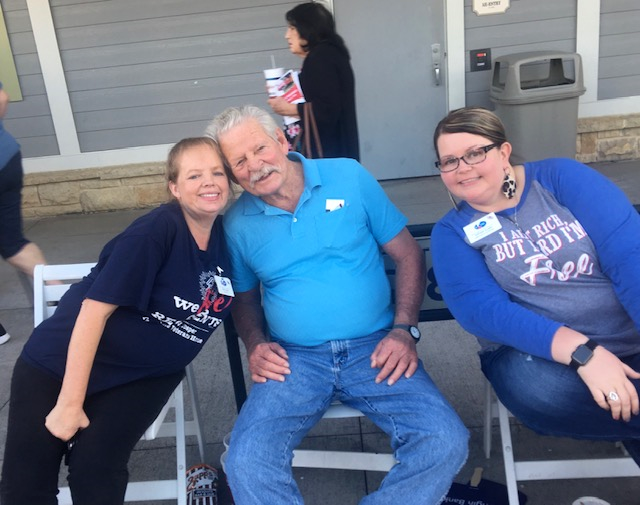 The VA picked up our Veterans and took them to the event. 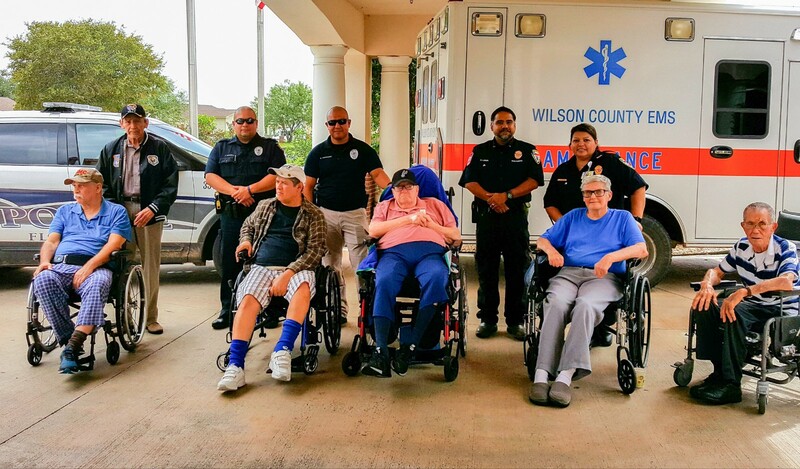 The Temple police, VA police, and a motorcycle club, escorted them over. 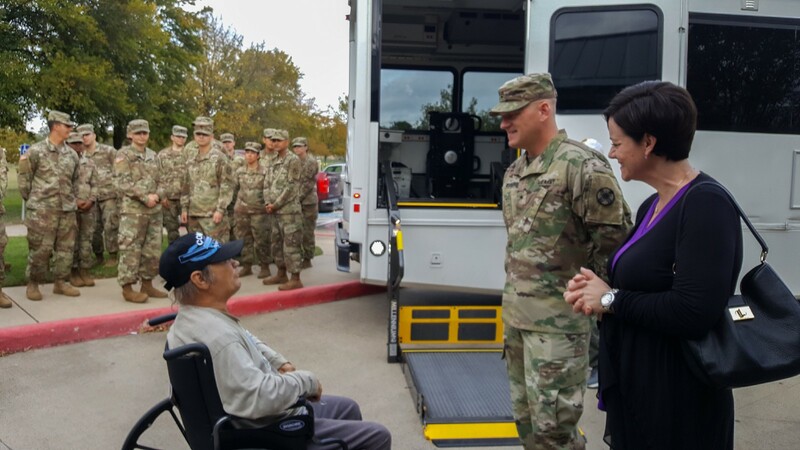 Fort Hood troops came over to visit them too! 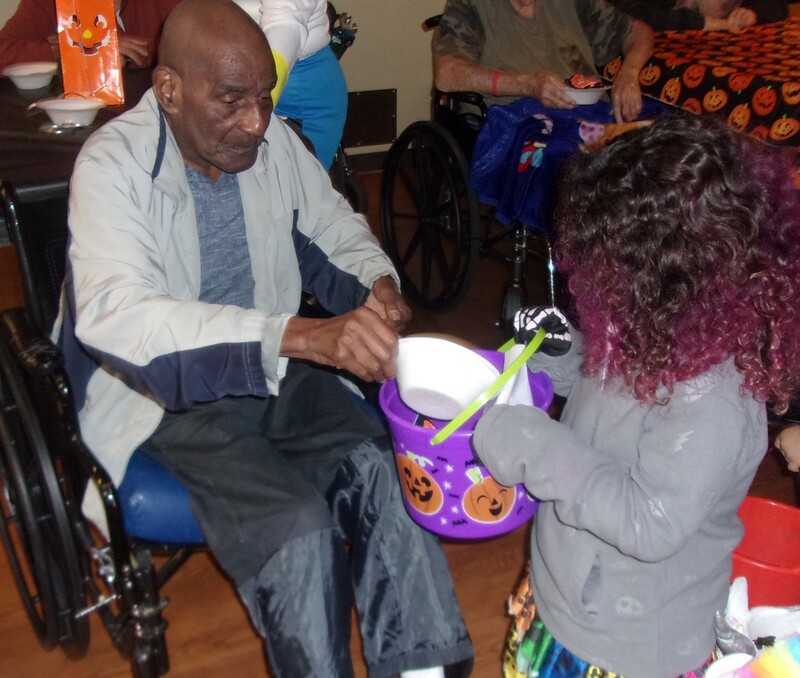 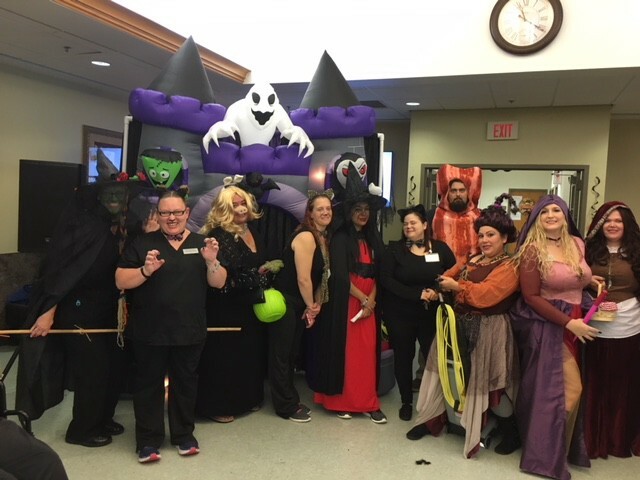 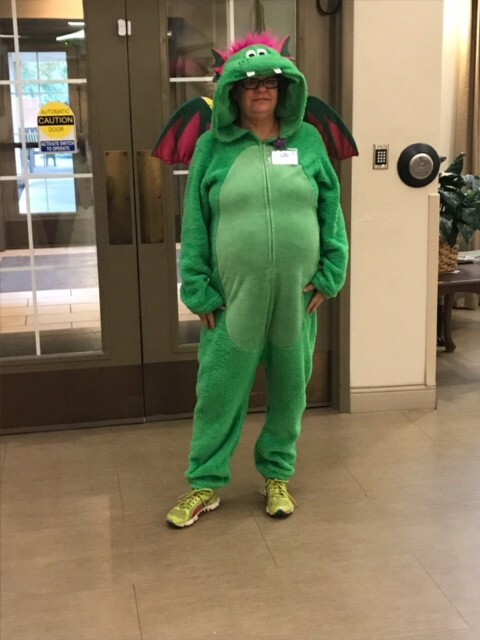 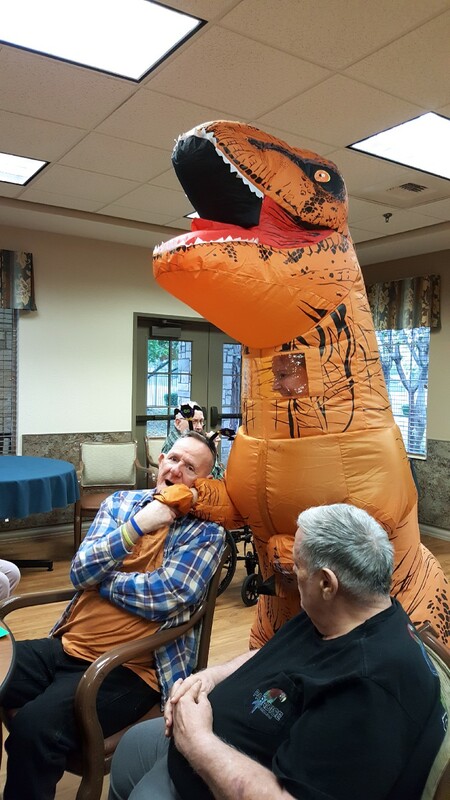 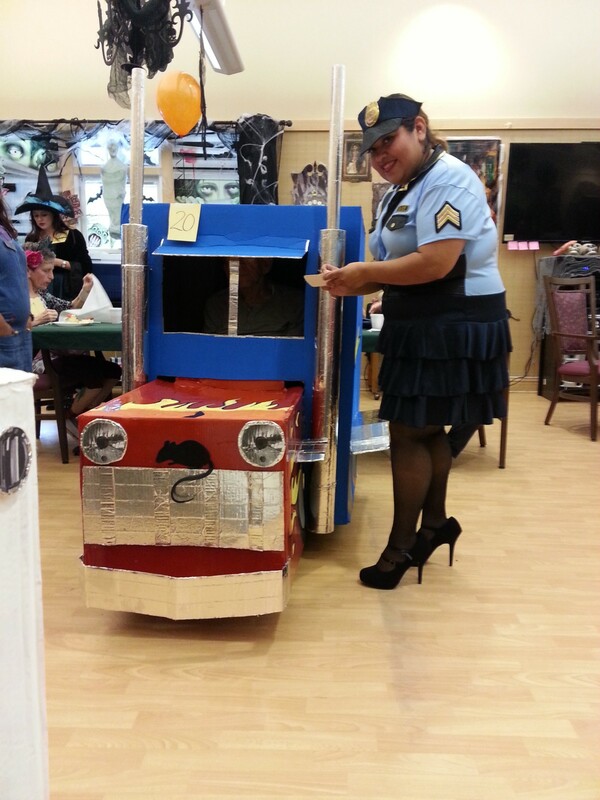 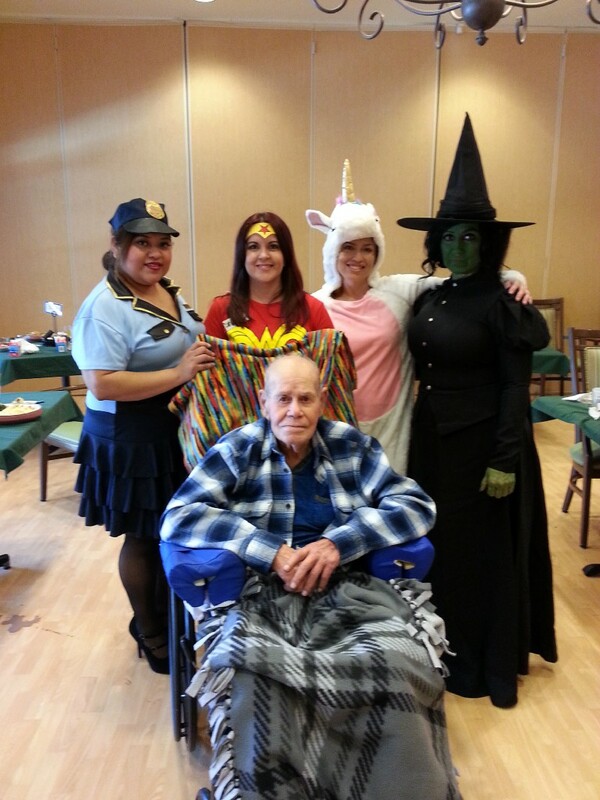 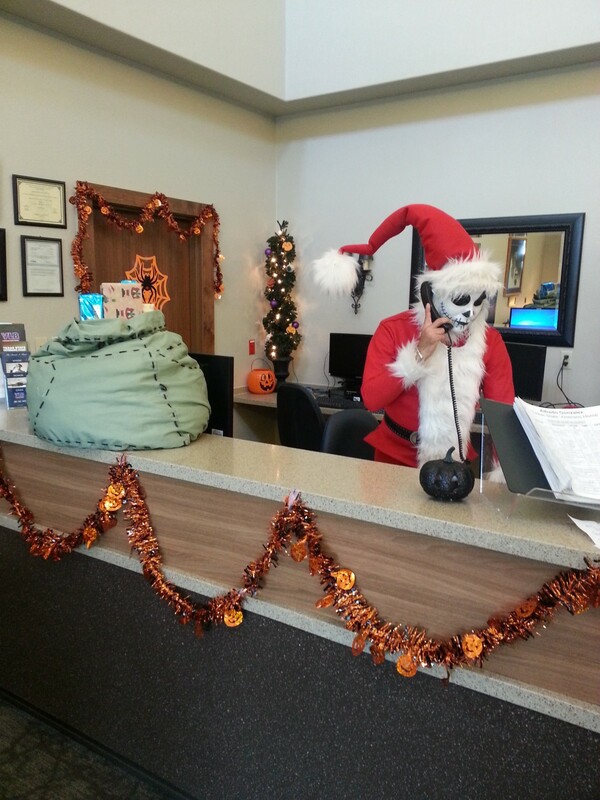 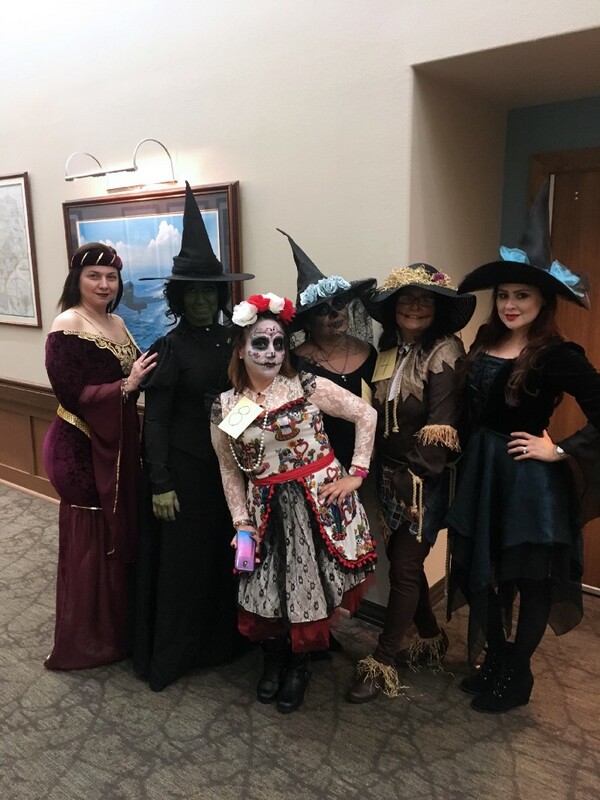 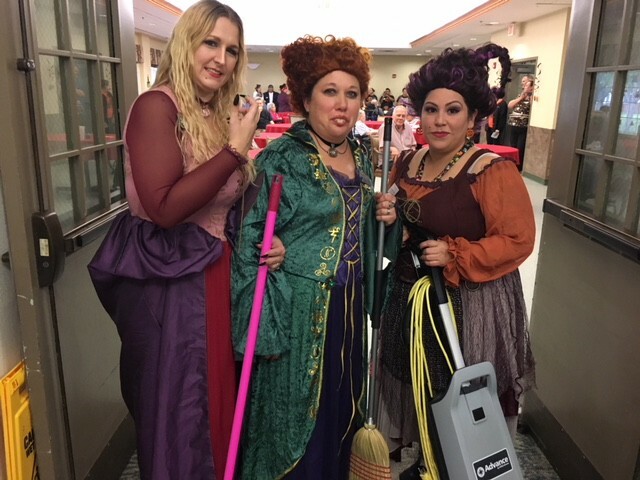 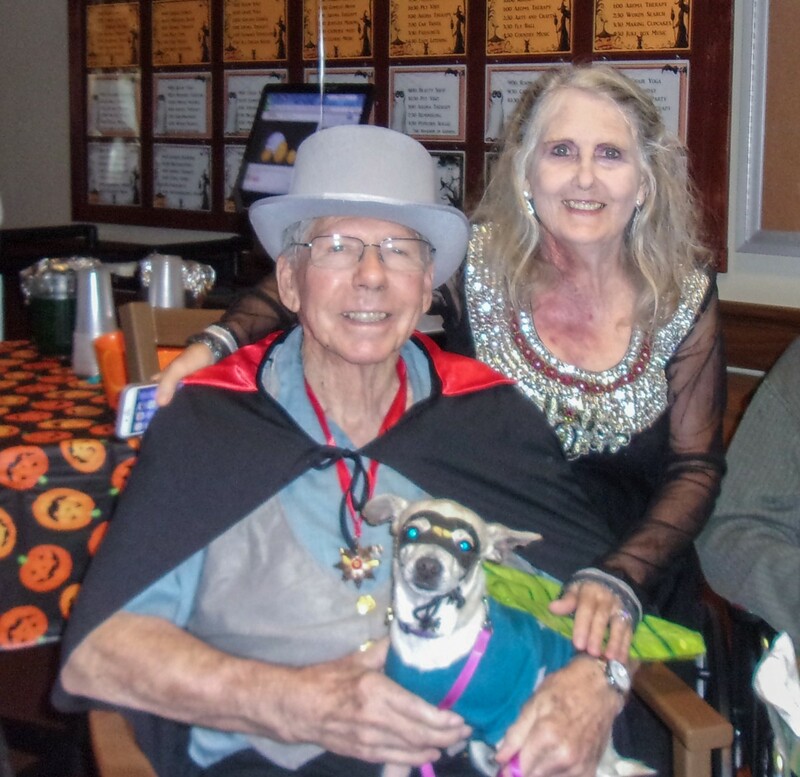 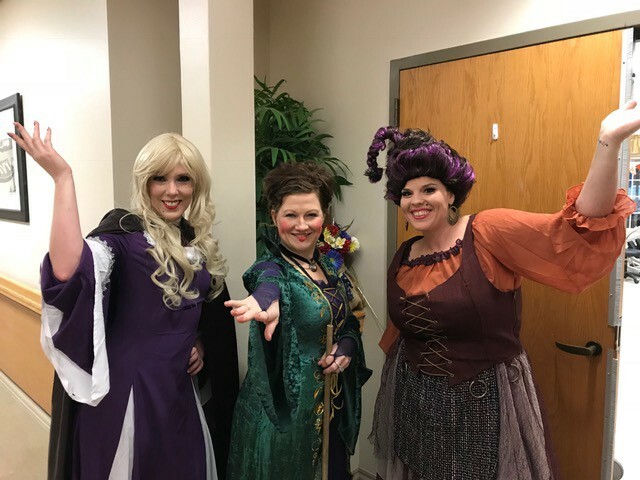 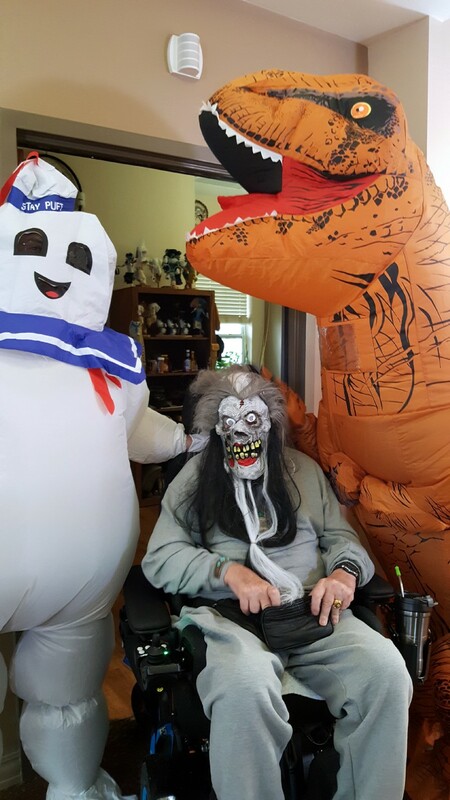 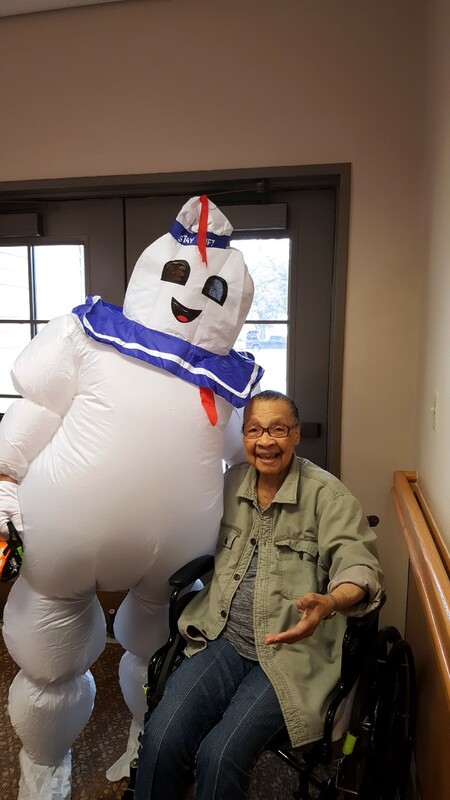 The staff and residents celebrated Halloween with an open house for the children of employees. 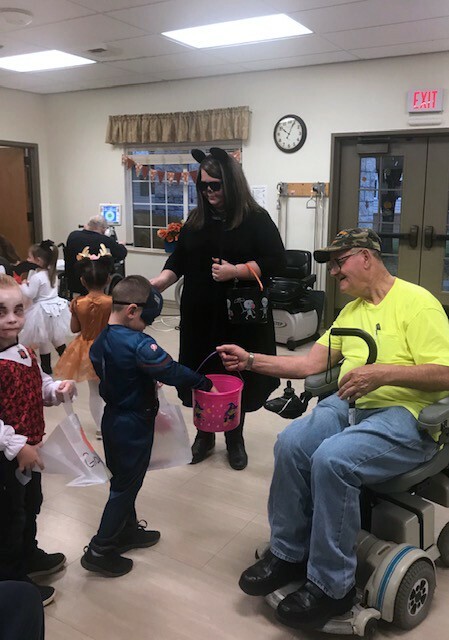 There were about 70 little trick-or-treaters and the residents had a blast handing out candy!